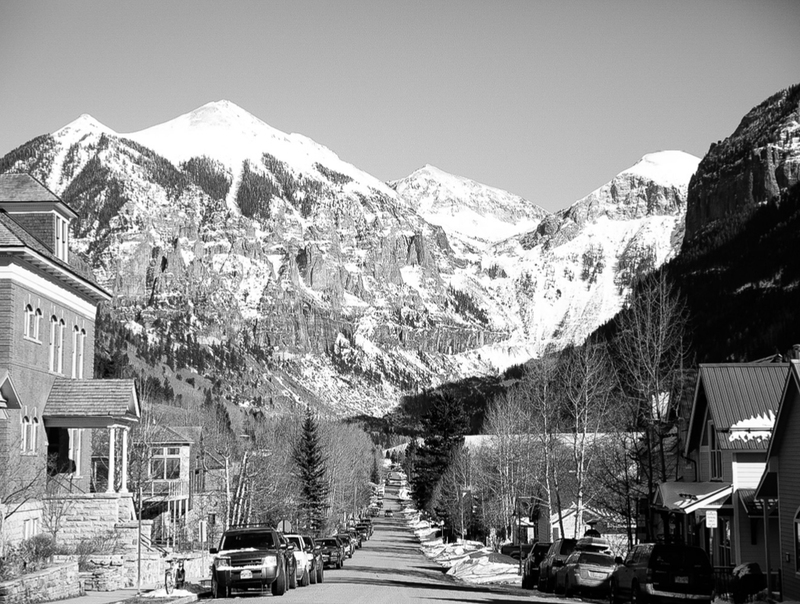 If you were to visit the Colorado town of Columbia in 1878, you’d be standing in what is now called Telluride. 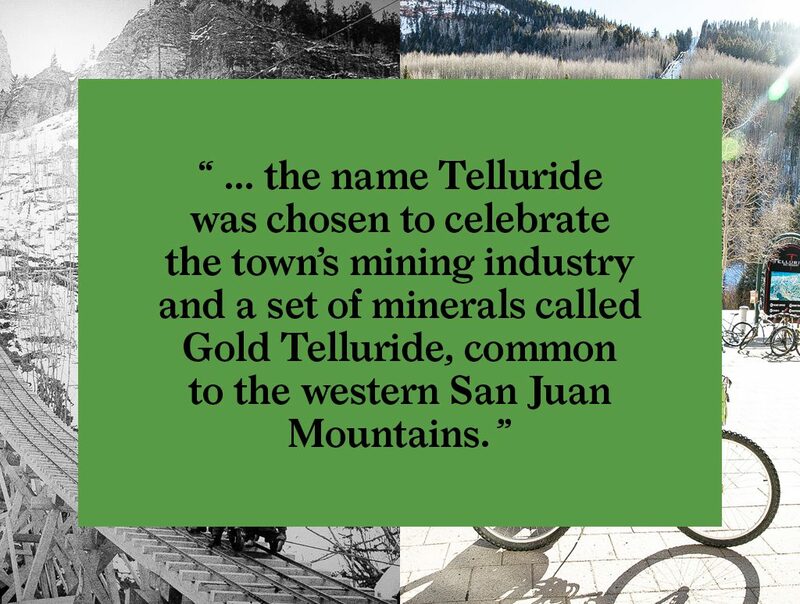 To avoid confusion with the California town of Columbia, the name Telluride was chosen to celebrate the town’s mining industry and a set of minerals called Gold Telluride, common to the western San Juan Mountains. 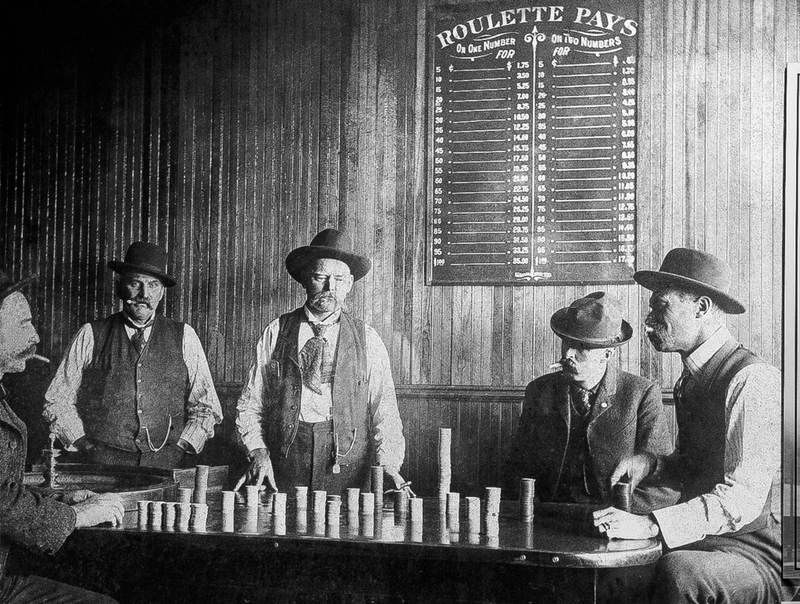 A few years later Butch Cassidy and his gang robbed the San Miguel Valley Bank in Telluride, taking loot amounting to $24,580. 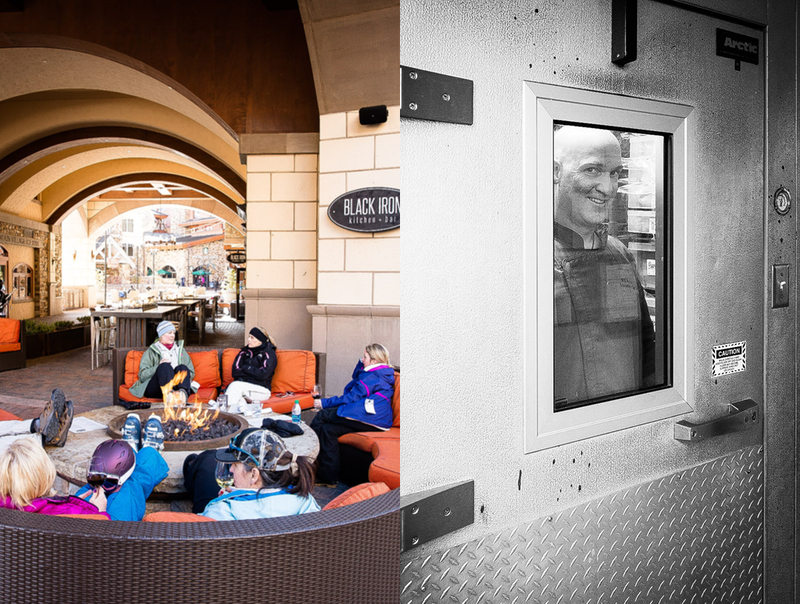 It was his first-recorded major crime and marked the beginning of his career as a bank robber. 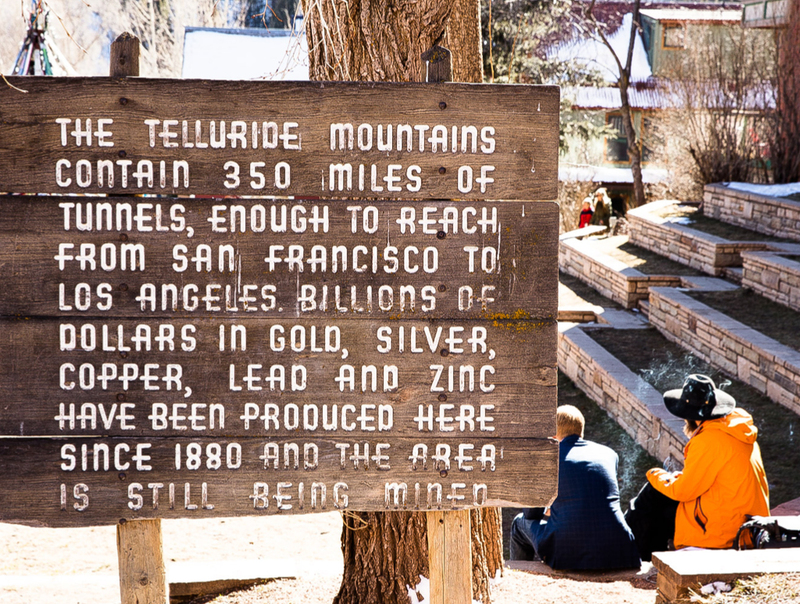 Mining was Telluride’s only industry until 1972 when the first ski lift was installed. 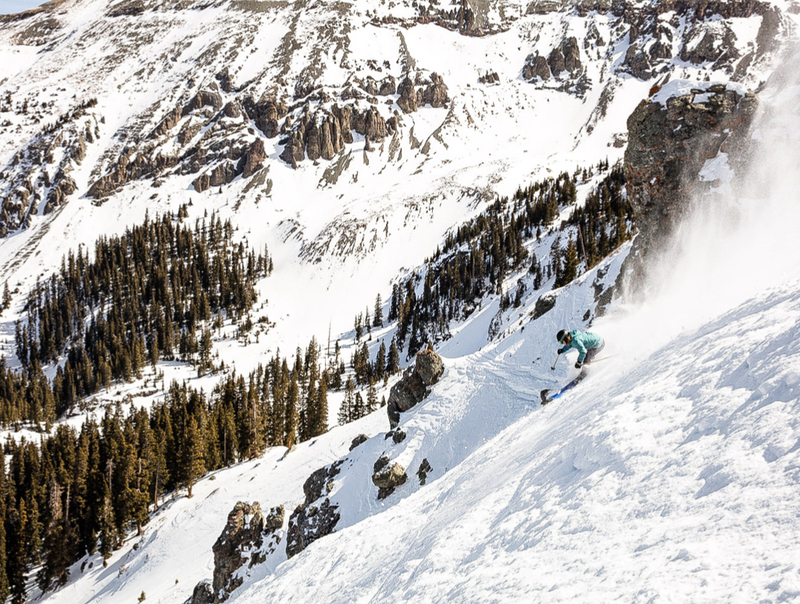 Around 2007, the ski area opened some of the most extreme, in-bound, hike-to-ski terrain in the country, with easily accessible elevations above 12,000 feet. 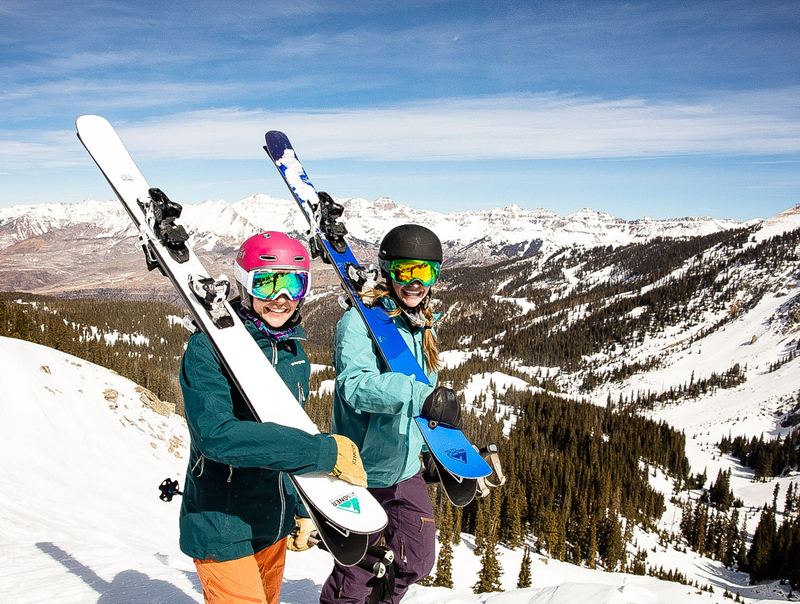 And that’s where I’m headed with my guides for the week, local skier and designer Katy Kirkpatrick, and her sister Kelly. 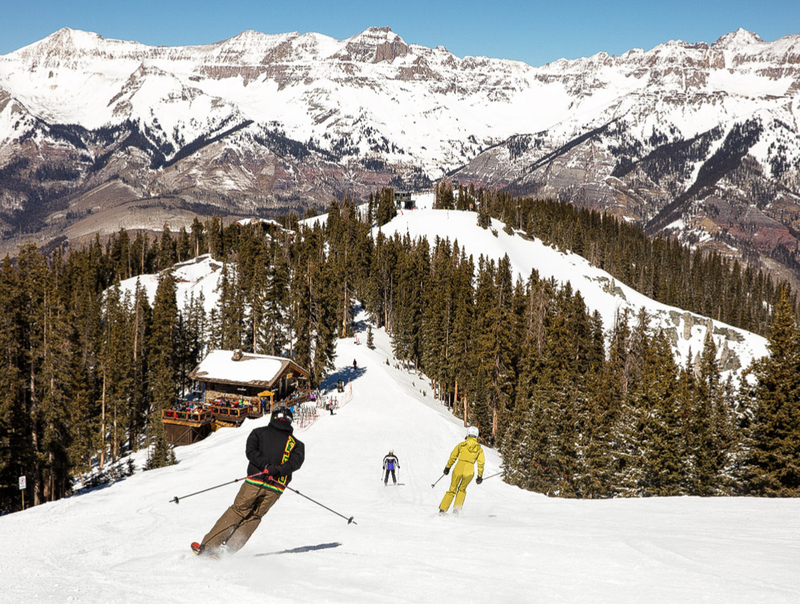 After a few warm-up laps, we decide to ski toward one of Telluride’s renowned ski areas, Prospect Bowl. 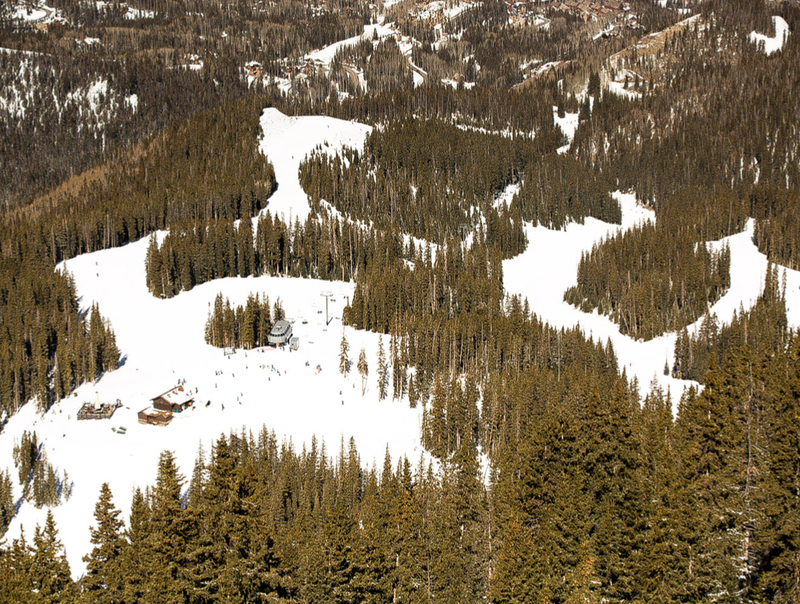 At the top of the Prospect Express lift we unbuckle our skis and hike a little farther toward Palmyra Peak to access some advanced terrain, which has a little more snow coverage. 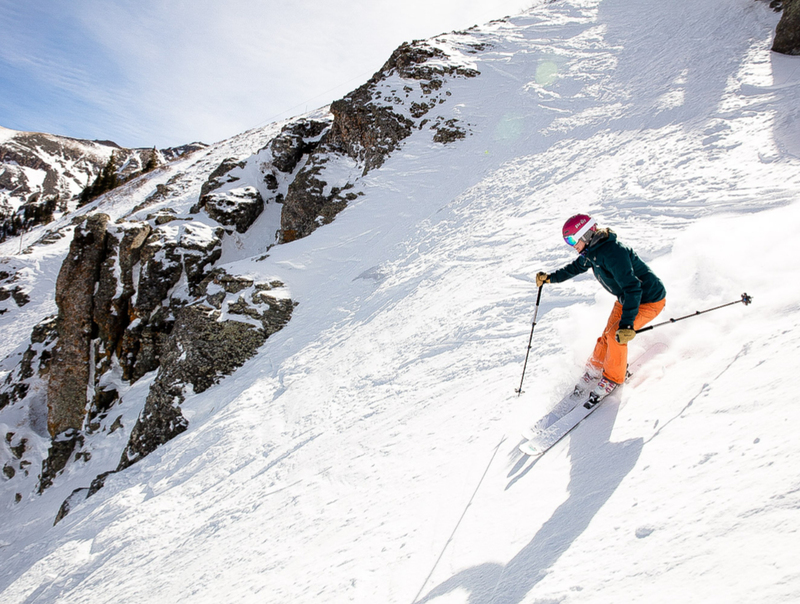 We inspect Genevieve, a double black diamond run, and Kelly sends it, taking a few turns, kicking up snow behind her with a big smile on her face. I follow her lead, not without some hesitation. That first moment of fear is replaced with joy as soon as I lean into the hill, attack the slope, and feel the snow under my skis and the wind around my ears. The grin is still on my face as I stop just below Kelly to give a thumbs up to Katy who’s still at the top and about to drop in. I’m a photographer at heart, so I click away as Katy takes the first leap. Several turns later she’s right by our side. 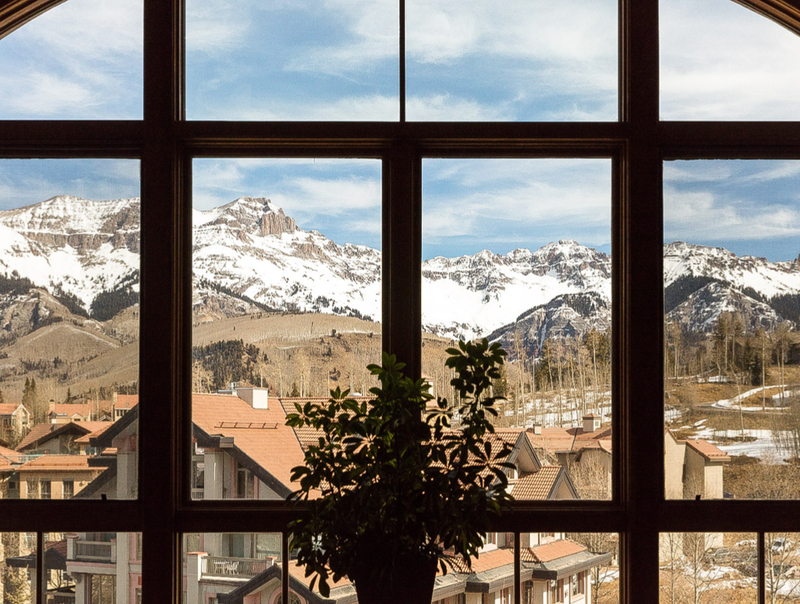 I can’t wait to see all that these mountains have to offer during my week in Telluride. 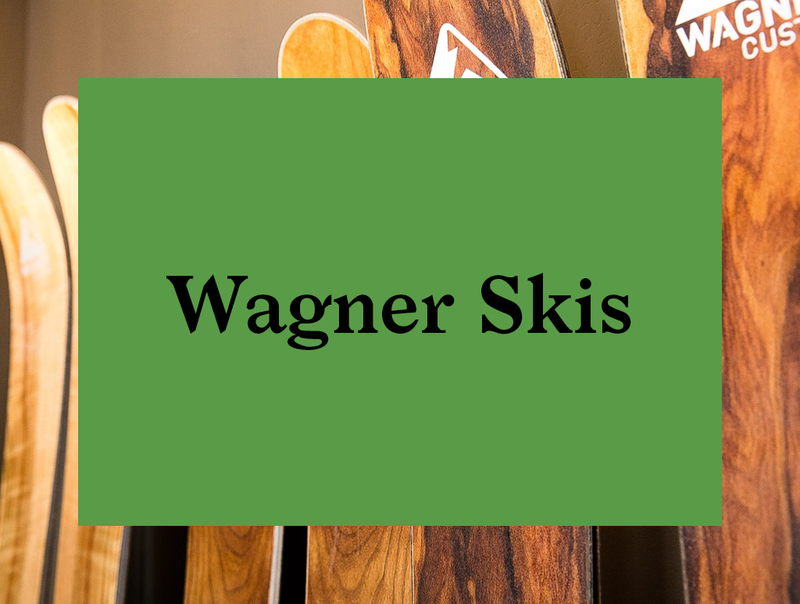 I have followed the career of Pete Wagner and his company, Wagner Skis, for some time. 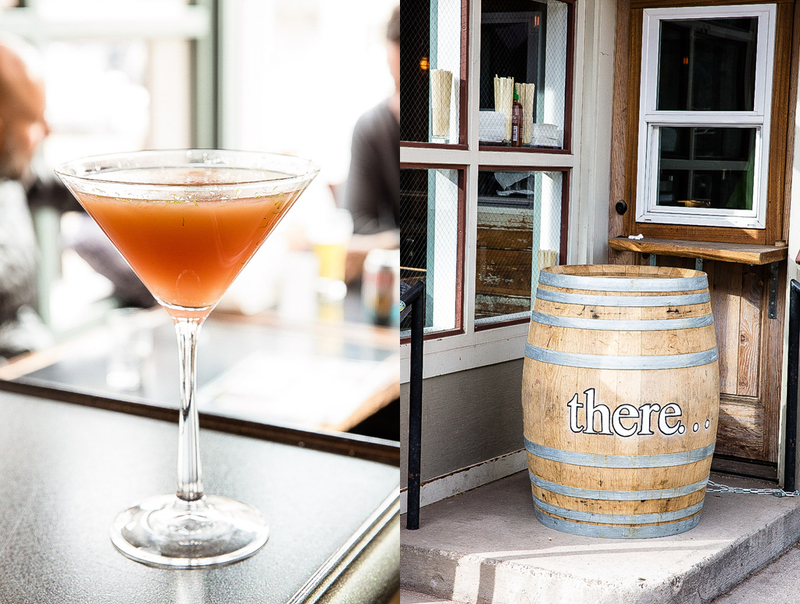 This trip to Telluride offered a good opportunity to pay him a visit. 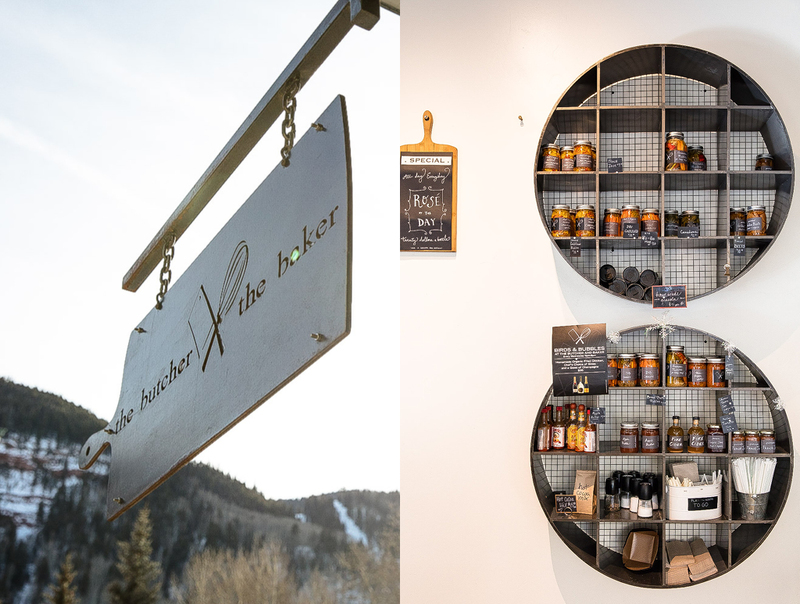 His workshop, offices, and showroom are conveniently right in the heart of Telluride’s Mountain Village, a few steps away from the gondola and lifts. I’m now standing in the middle of Pete’s woodworking shop. Two giant machines are moving pieces of wood and cutting to laser precision. Wood chips fly through the air as if they were snowflakes. 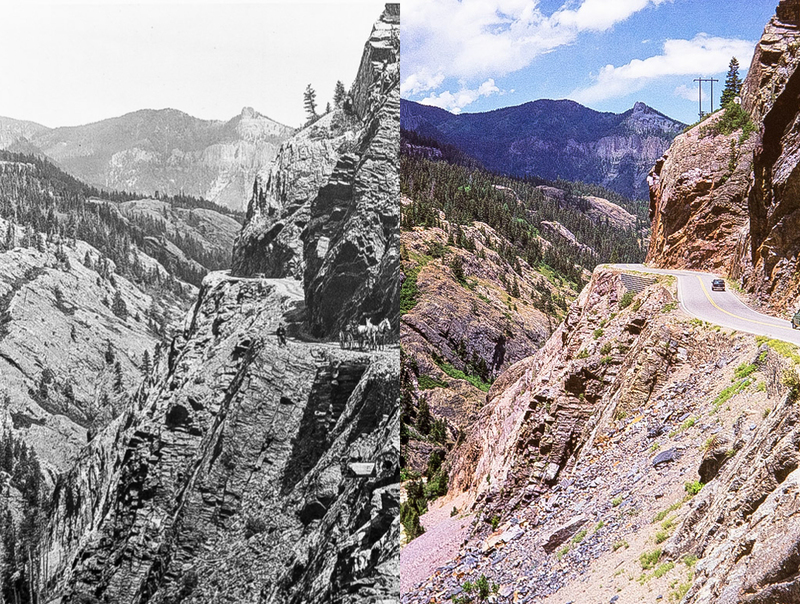 The Wagner story does not start with a big snow storm or on the tallest mountain of Colorado. 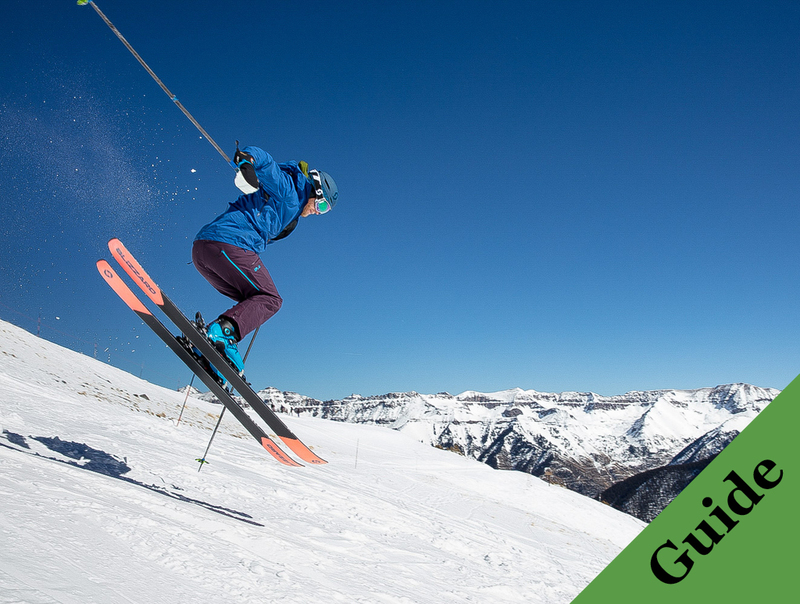 It actually begins on a golf course in sunny California where Pete Wagner, a software engineer in the golf industry decided to apply his knowledge of equipment customization to skiing. 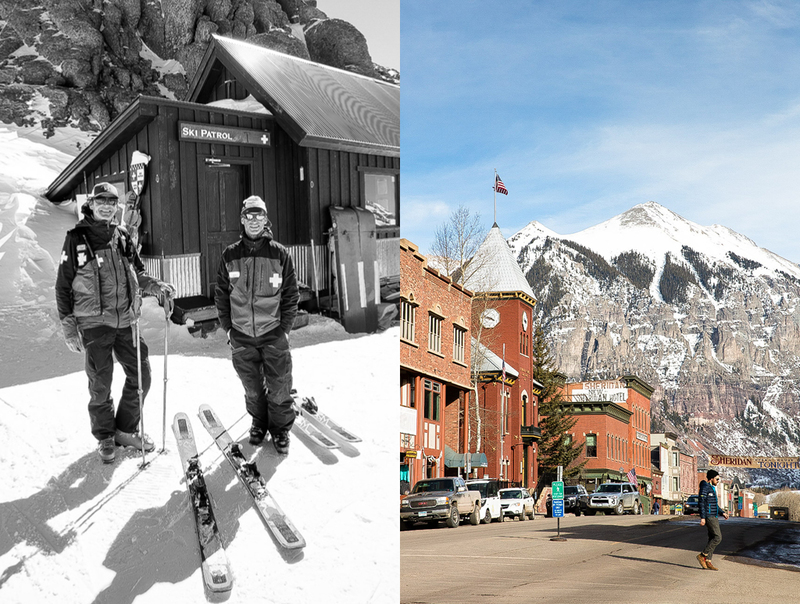 Originally from Ohio and living in San Diego, Pete decided to take a leap into the unknown when he moved to Telluride and started his custom ski company. 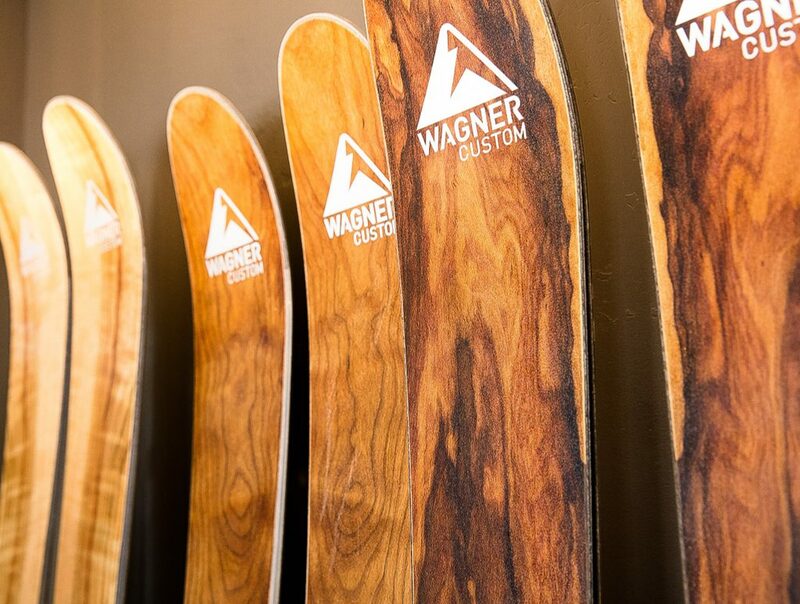 The process for Wagner customers starts online, where they fill out a questionnaire with a follow-up interview by a Wagner Ski-DNA Design Consultant. 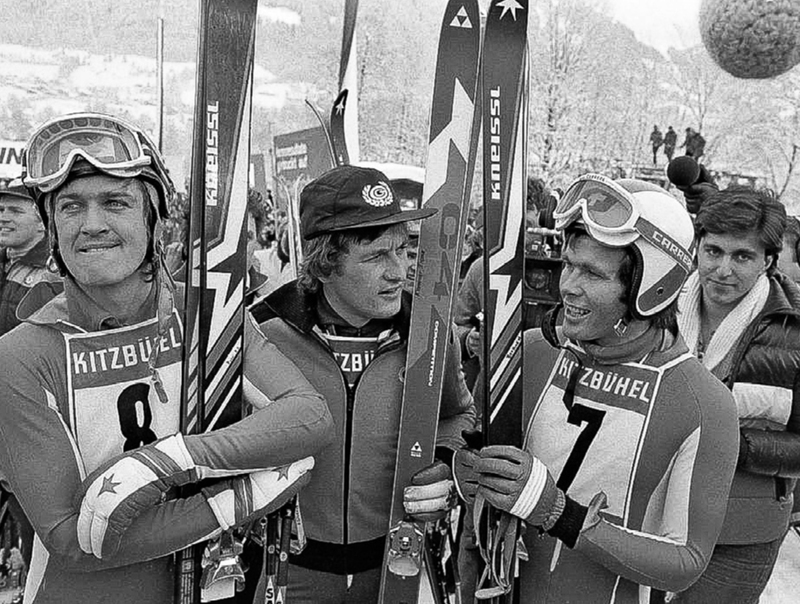 From the information gathered, Wagner then designs a ski to fit each skier’s style and ability, improving their balance, comfort, power, and efficiency. 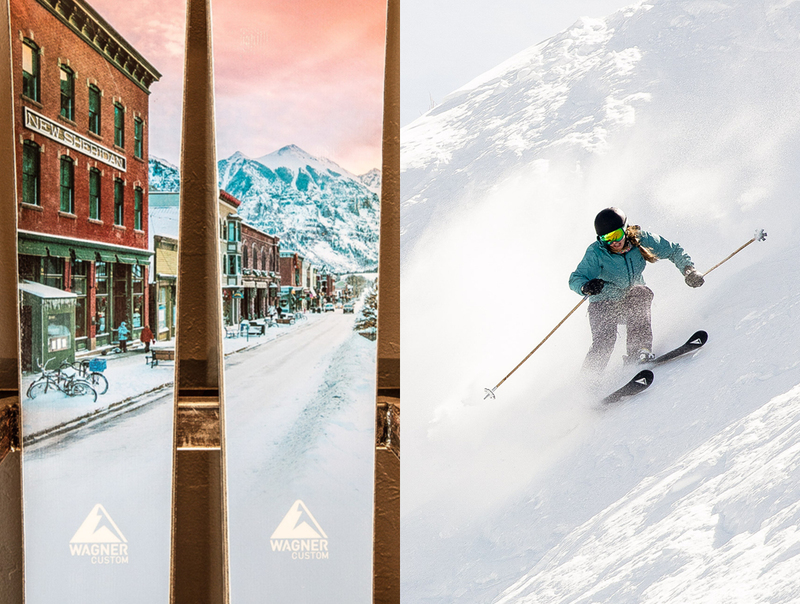 To top off the process you get to choose a top sheet ski graphic to suit your personal style. 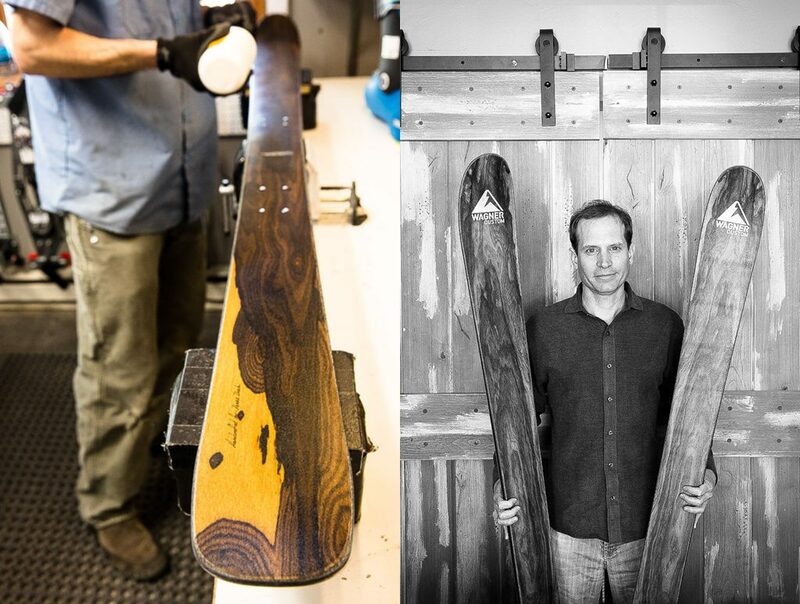 For novice and professionals alike, custom-tuned skis make for the best possible skiing experience. 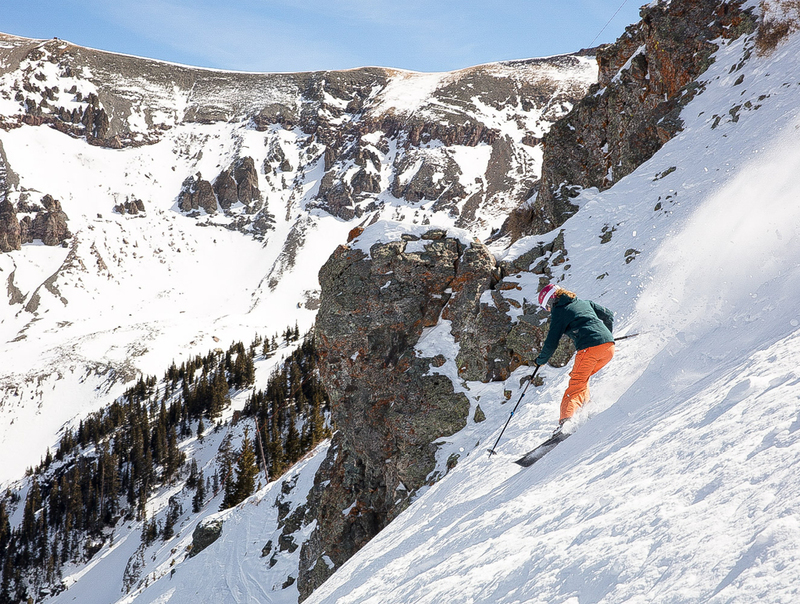 If you are a regular skier, the added effort is well worth it. 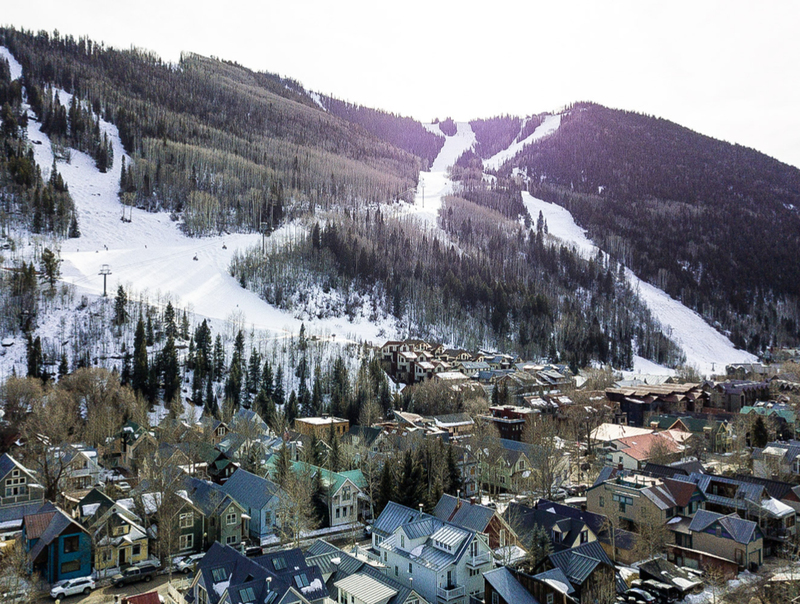 On the afternoon of my arrival, I jumped on the gondola that goes from Mountain Village, rode over the mountain and into the quaint town of Telluride. 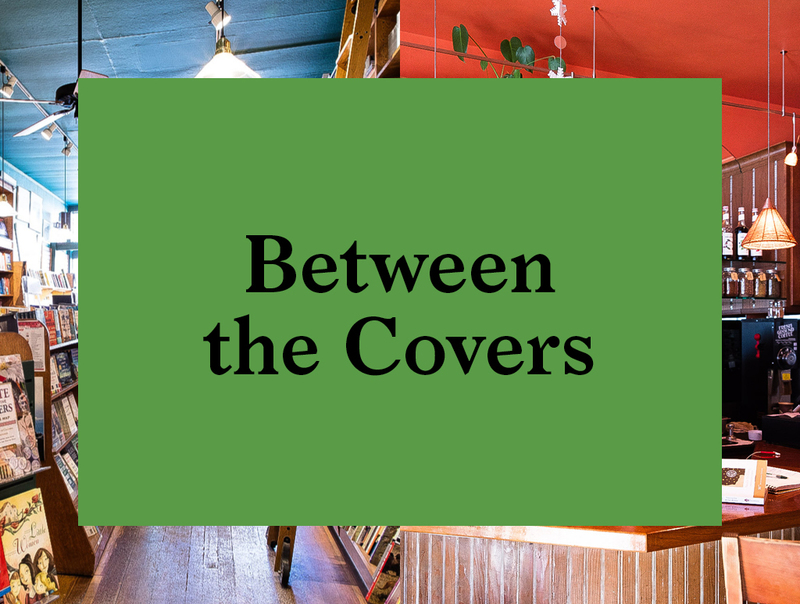 In search of a coffee, a few blocks up from the gondola on West Colorado Avenue, I found “Between the Covers”, a great local bookstore and coffee shop combination. Out front, I met one of the owners Daiva Chesonis, who invited me in. 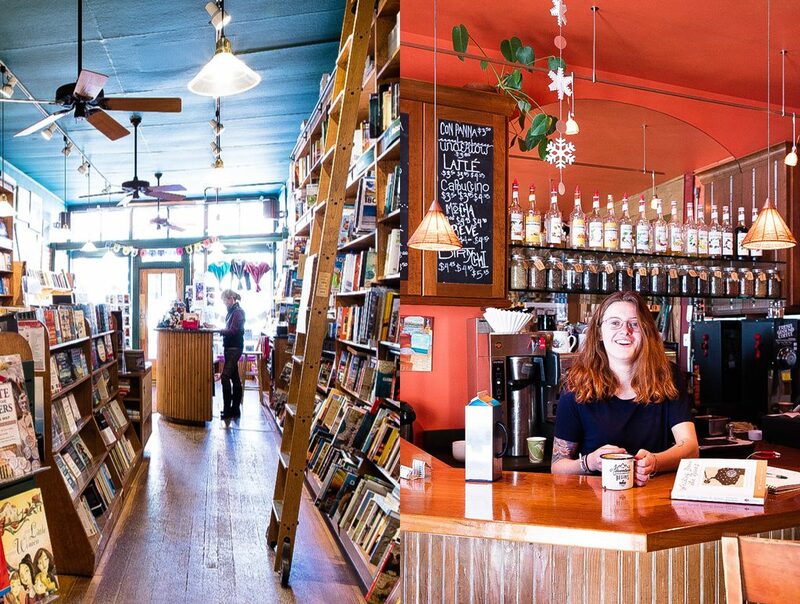 With a delicious hot spiced chai in hand, I browsed Between the Covers’ excellent collection of local books and got some good local tips from Daiva. 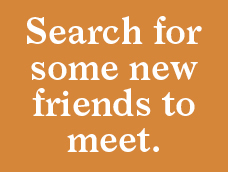 It’s a good place for refreshment, meeting new friends, and local information. 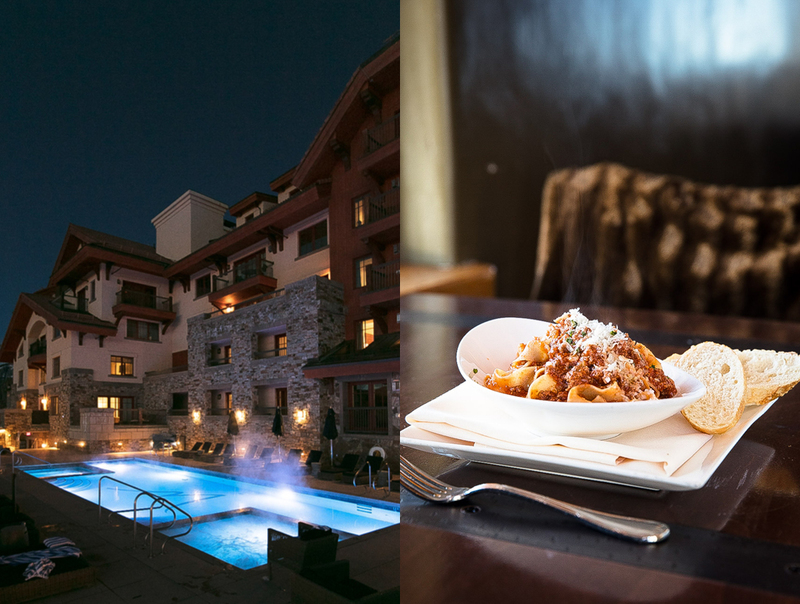 For most of my stay in Telluride, I booked a room right in the center of Mountain Village at the Franz Klammer Lodge. 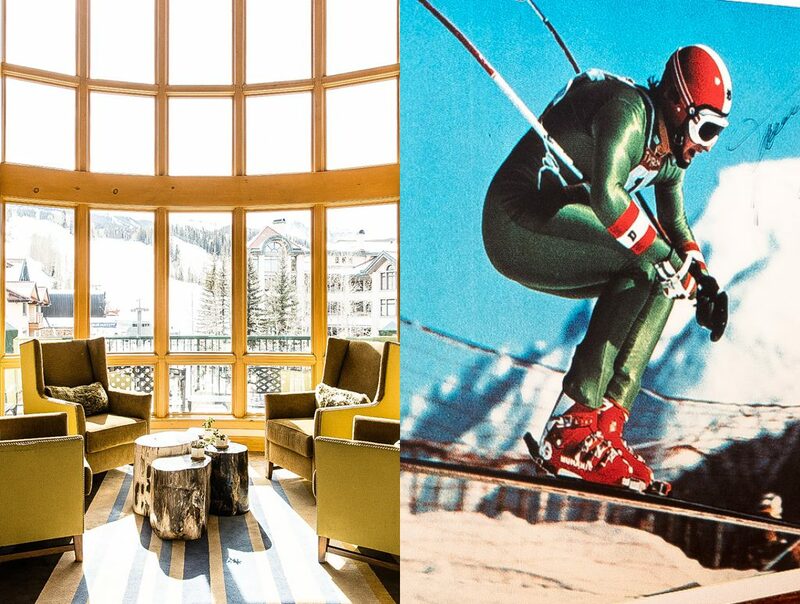 Named after the famous Austrian skier, the hotel is walking distance from the gondola, lifts and slopes. 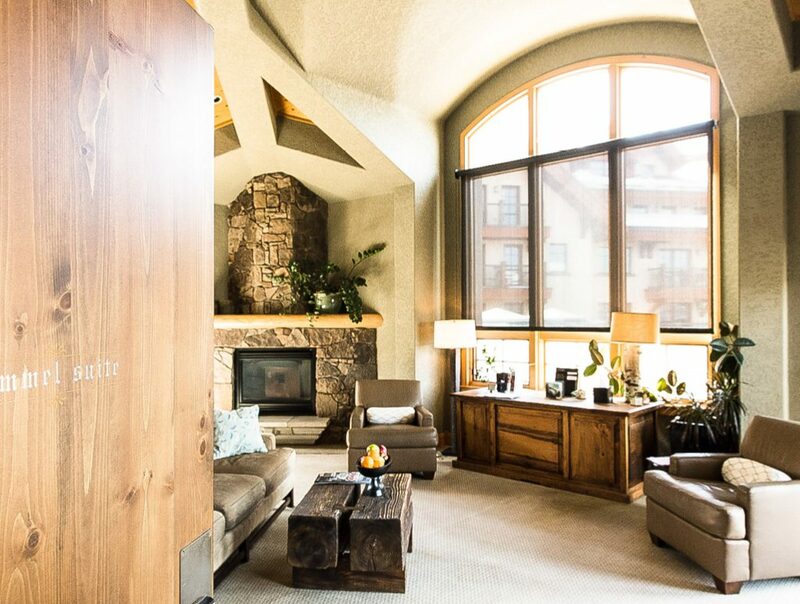 An elevator takes you to a second-floor reception area with views of the village square, a beautiful spot for sunrise coffee or tea before hitting the slopes. 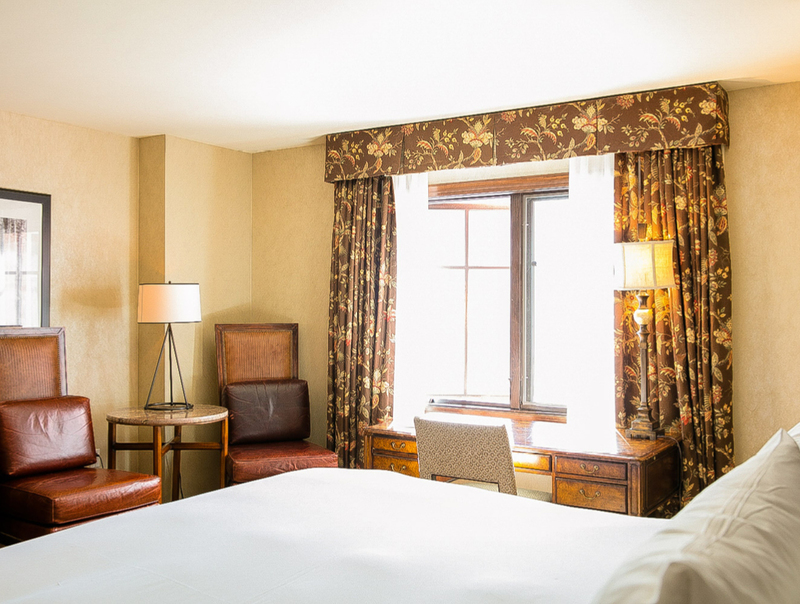 The rooms are all two and three bedroom suites offering ample space for families or groups of friends. 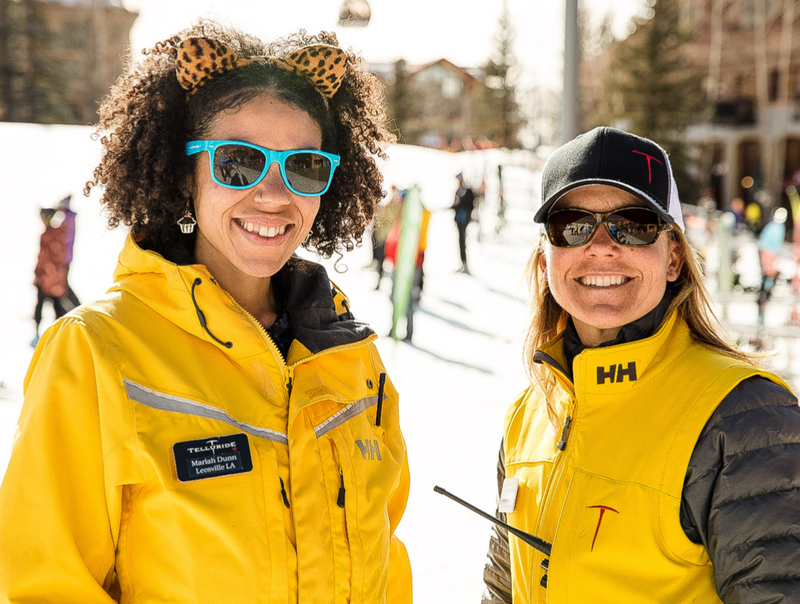 With services attuned to the needs of skiers, my ski boots were whisked away to the ski valet near the slopes. The next morning I simply walked across the town square in my ski outfit and changed into my boots before walking to the nearest lift, skis over my shoulder. 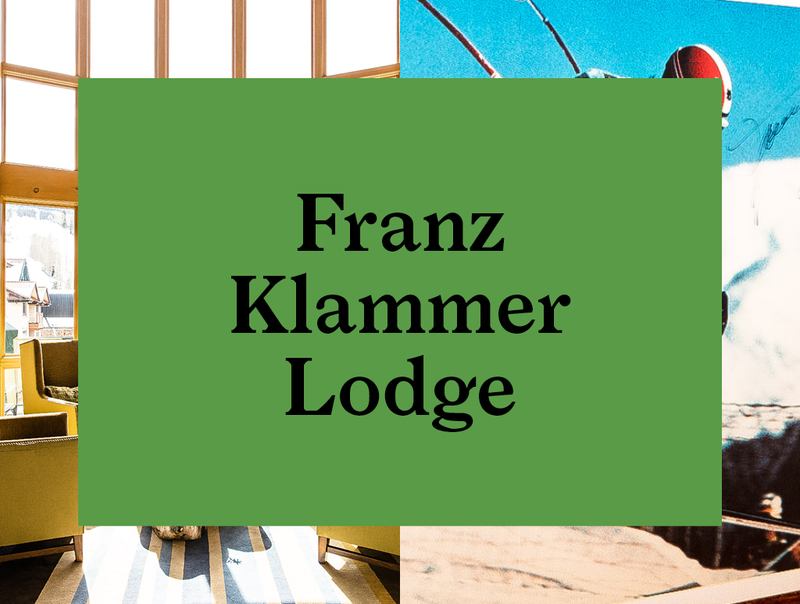 At the Franz Klammer Lodge every detail has been considered. 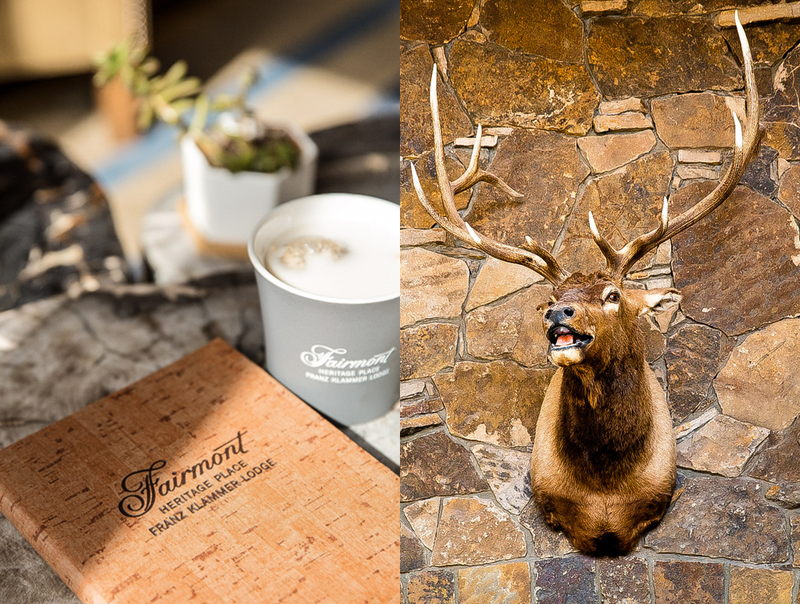 Even the minor inconveniences of skiing, like tromping around town in ski boots, have been eliminated, making this the perfect environment to experience your best possible skiing adventure. 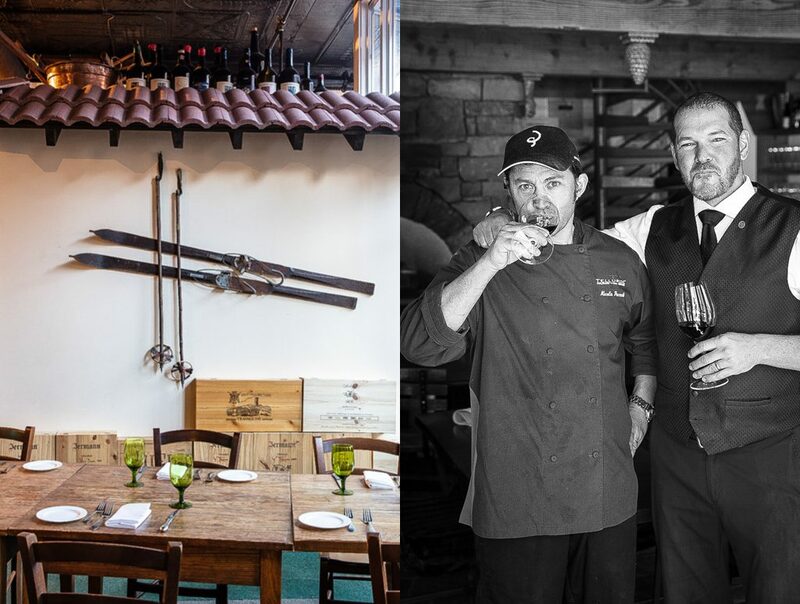 If it’s an extreme dining experience you are looking for, book a visit to Alpino Vino. 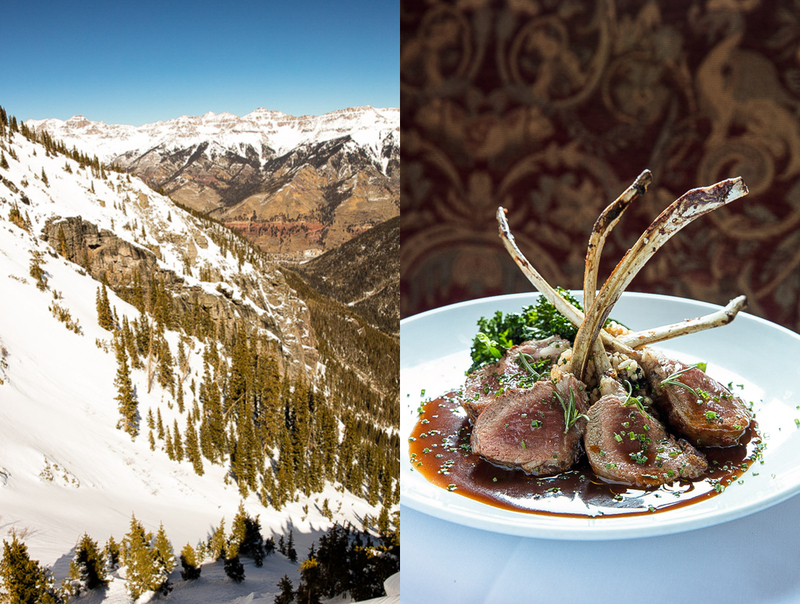 At nearly 12,000 feet, it’s the highest elevation fine dining restaurant in North America. 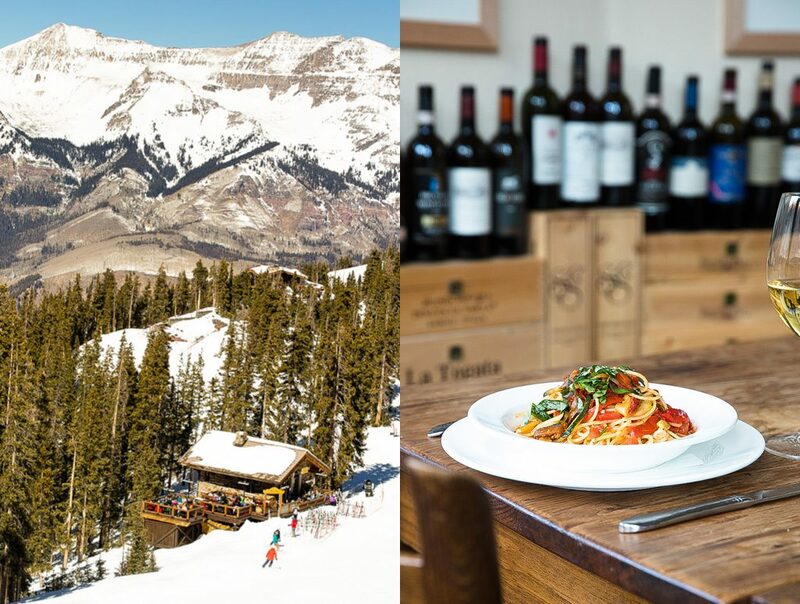 Packed into a quaint mountain hut on Telluride’s See Forever run, it is located just off of the Gold Hill express lift. 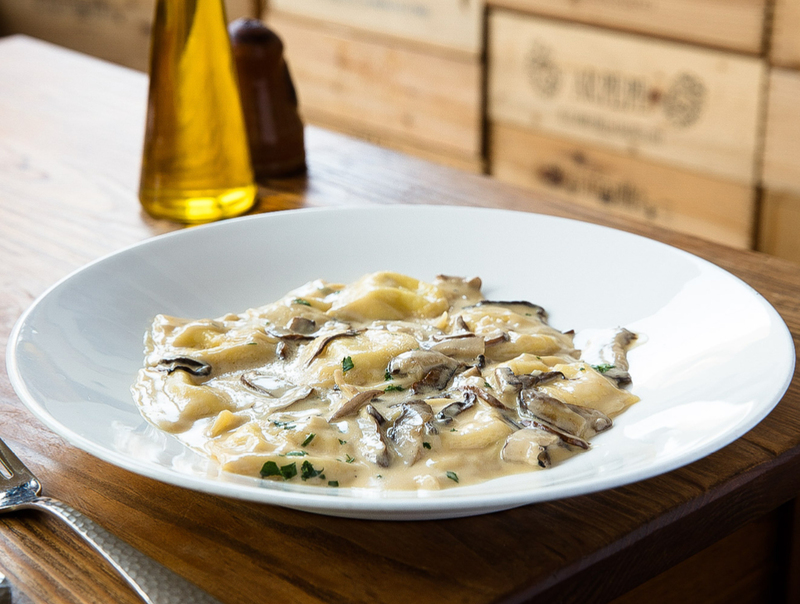 Chef Peccidi’s dishes, like his varieties of freshly made pasta, are to die for. And considering the minuscule kitchen, the quality is all the more impressive. 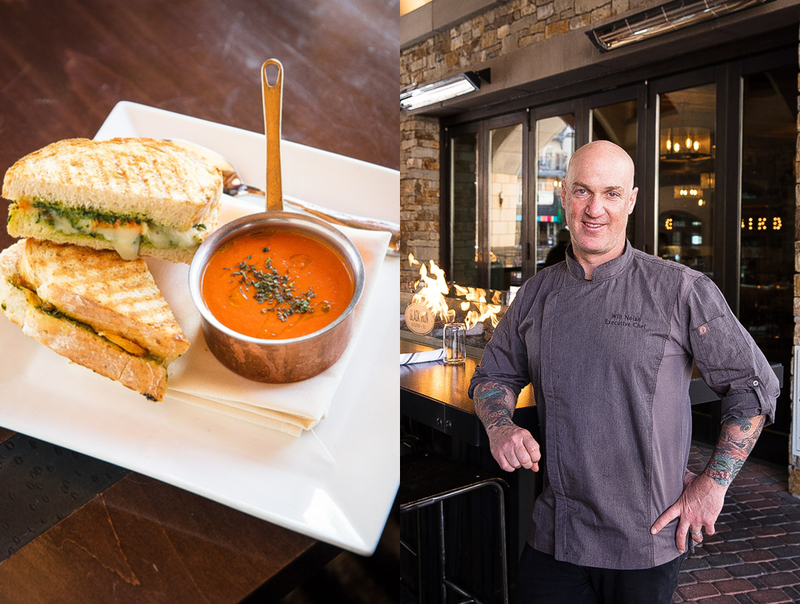 For my ski-in-ski-out lunch, I had a very tasty soup and sandwich. 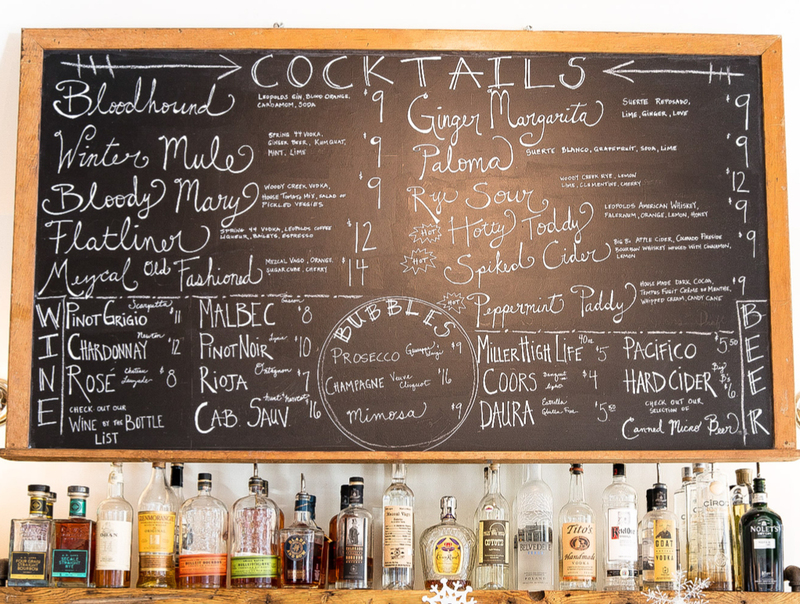 Chatting with Chef Peccidi on the deck over a glass of wine, he tells me of his home in Alto Adige. 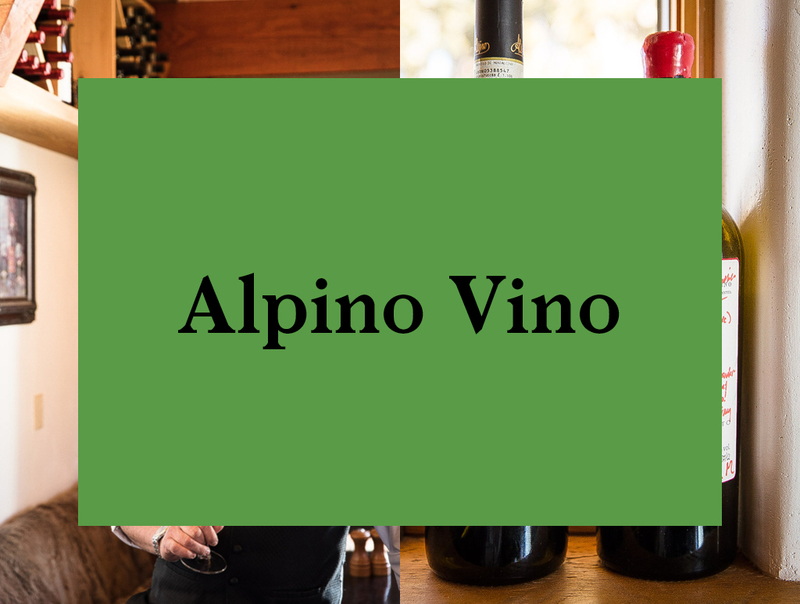 The Northern Italian region of Alto Adige, just south of Austria, is the inspiration for much of America’s ski culture and architecture, which makes Alpino Vino a rare bit of authenticity in today’s American ski-village culture. 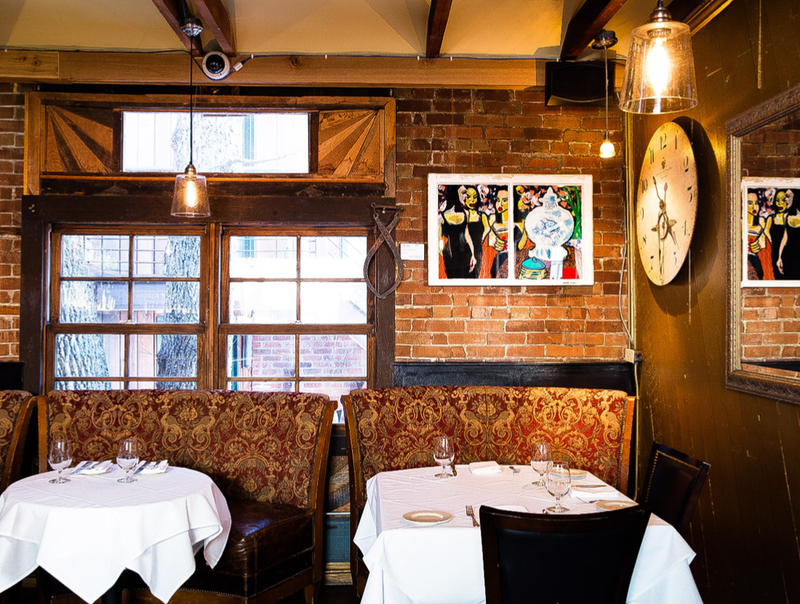 Alpino Vino is open on select nights offering a five-course, wine-paired dinner. 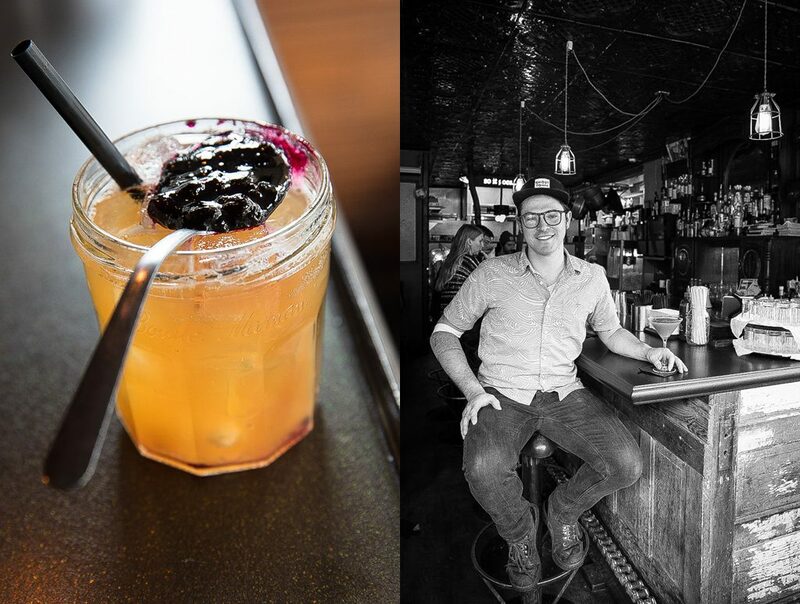 If you choose not to arrive on skies, snowcat driver Hal Kaufmann will make sure you arrive safe and in style to your mountain dinner reservation. 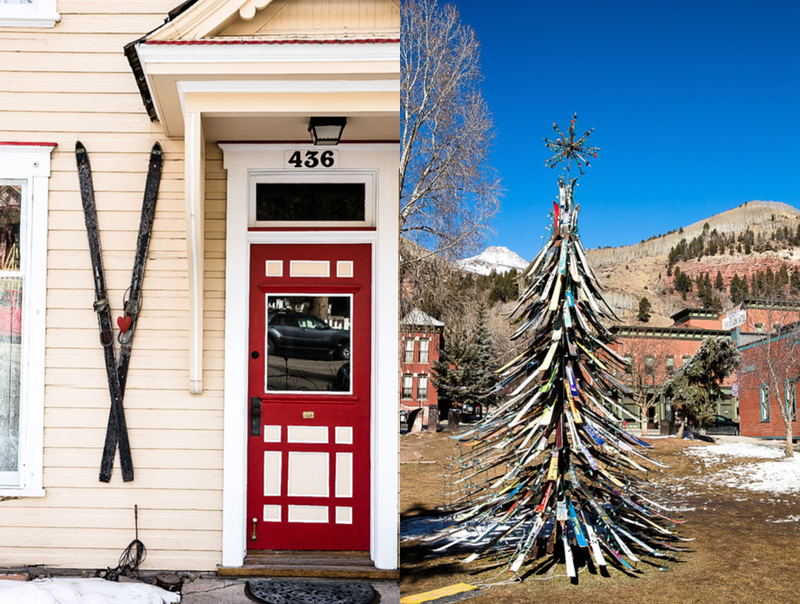 At the end of North Fir Street, on the sunny side of Telluride, you will find the Telluride Museum. 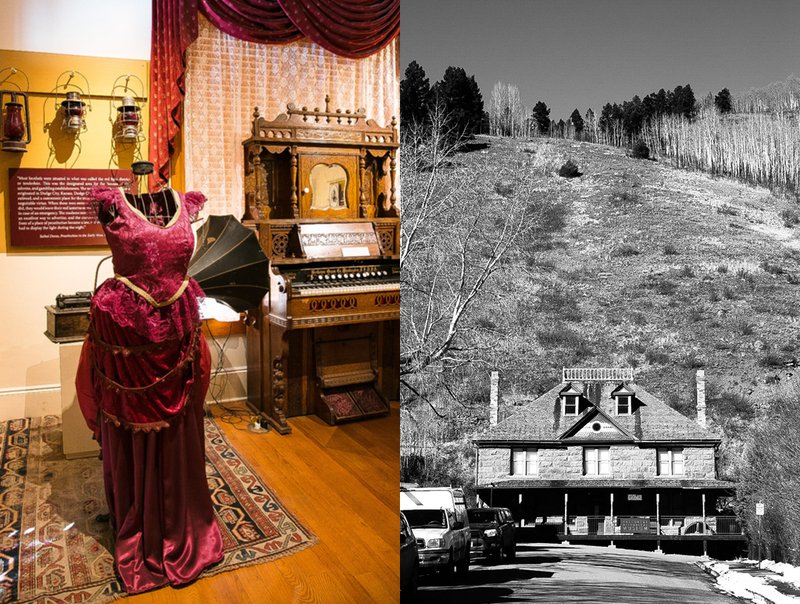 If history is of interest, the Telluride Museum is a must. 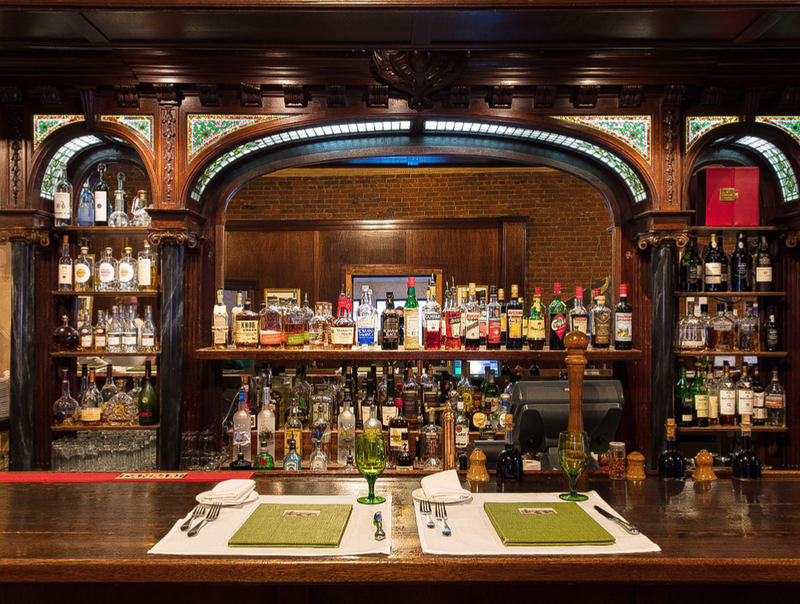 And if you ask me, without knowing the history of a place you can never fully enjoy its culture. 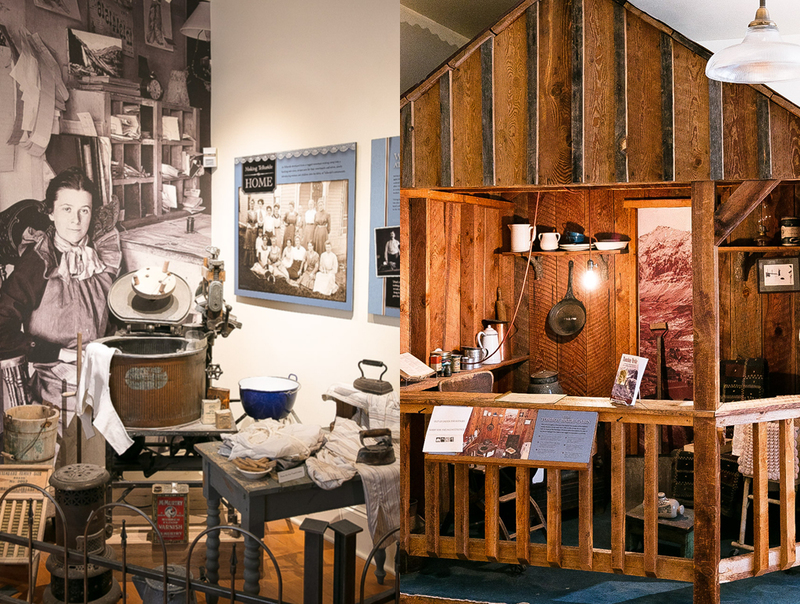 The museum is packed with artifacts, their stories spanning from the first settlers through the arrival of early skiers. 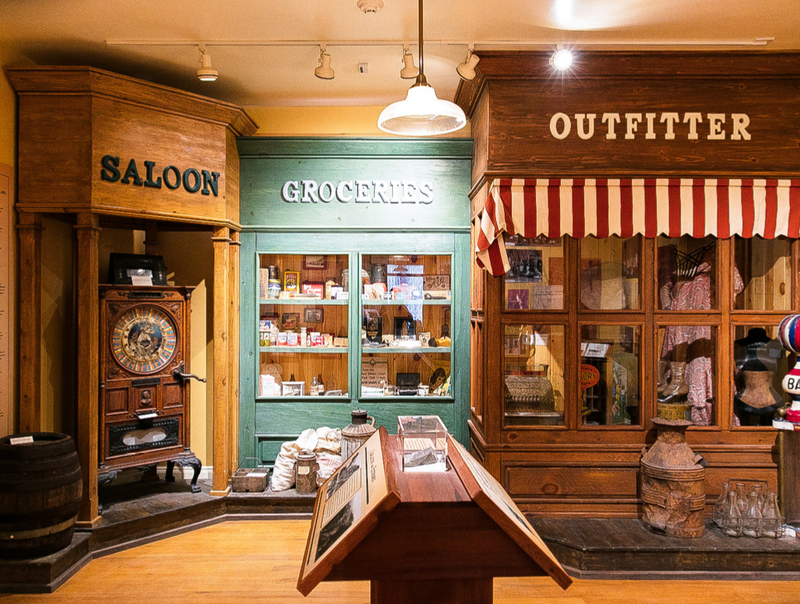 Built as the Telluride Hospital in 1896 at the peak of the Gold Rush, most of the building is now dedicated to historic exhibits. 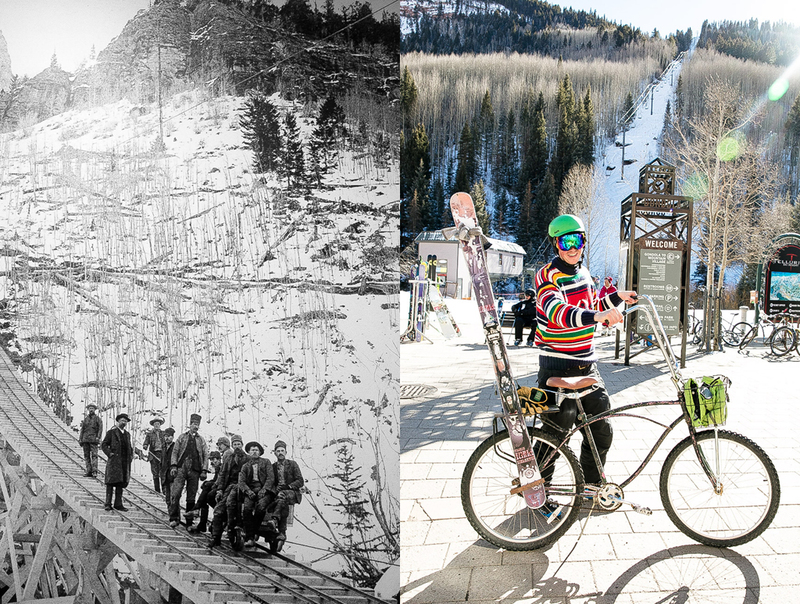 One section under development will tell the history of snowboarding, with displays of the early snowboarding equipment that has developed into today’s advanced snowsport. 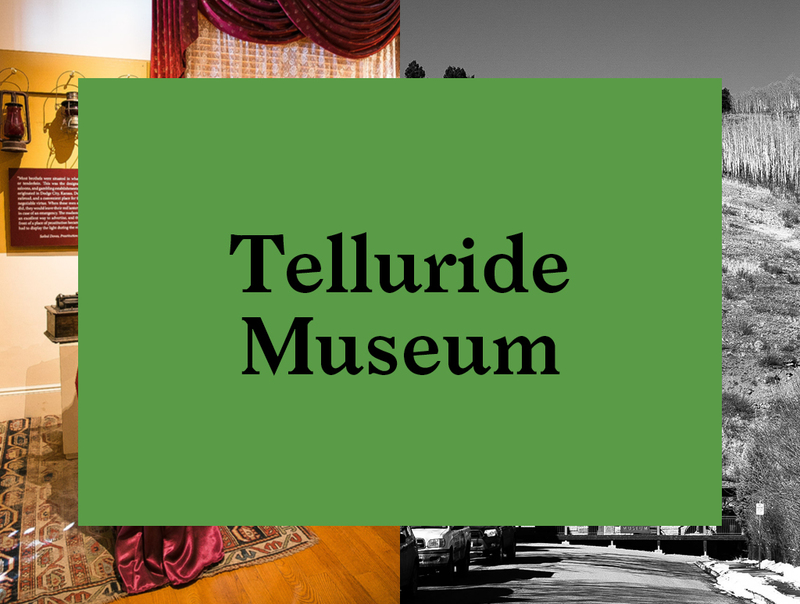 To bring a piece of Telluride history home with you, the museum offers a great vintage photograph framing service from their large collection of photographs of early American settlers. 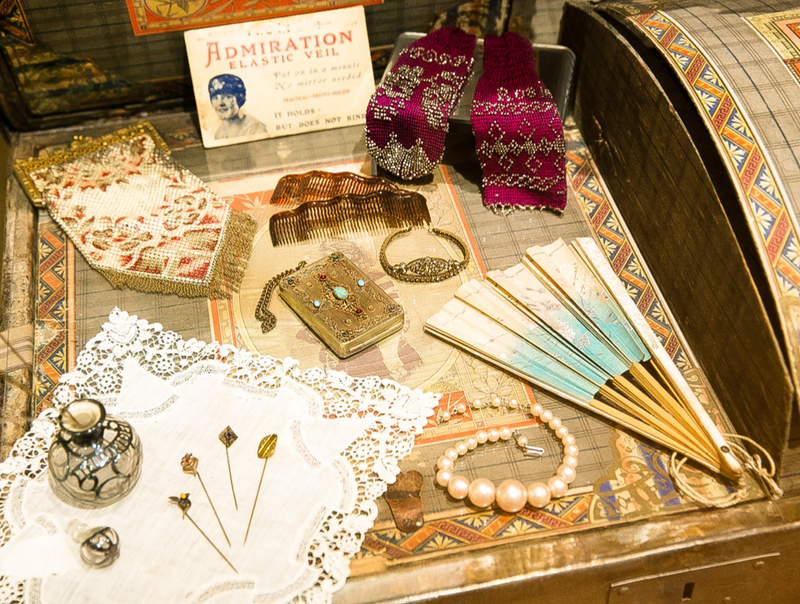 It will give you a lasting memory and support the museum. 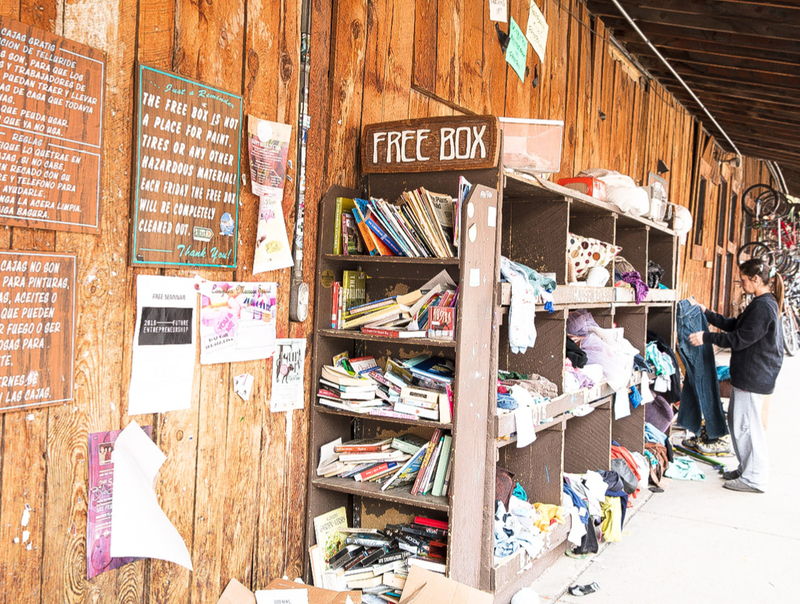 Telluride’s unique and funky character is on display at one of its most beloved establishments, the Free Box, a place for the exchange of household items and clothing, in operation since the 1970s. 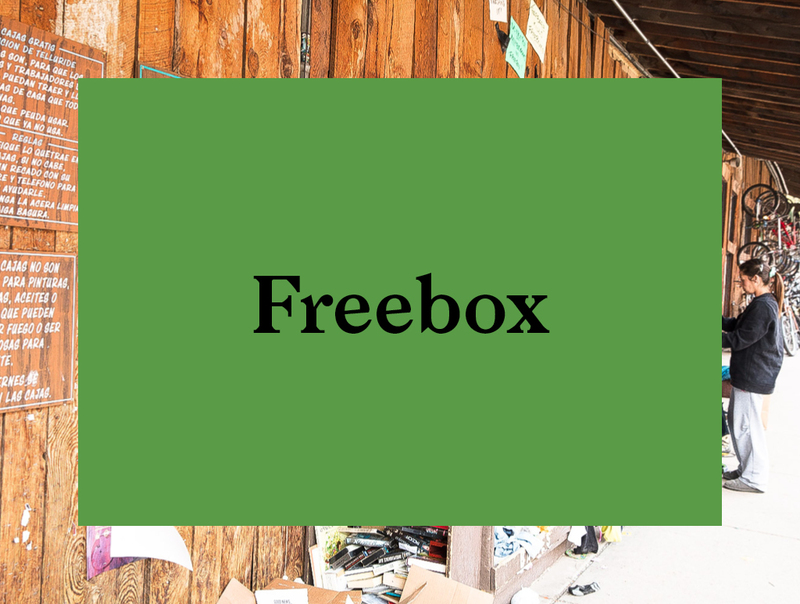 A visit to Free Box, on the corner of Pine Street and Colorado Avenue, is a daily routine for some locals. On my brief visit I was left wishing I had more luggage so I could take home more than the vintage pair of jeans and snow accessories I found. 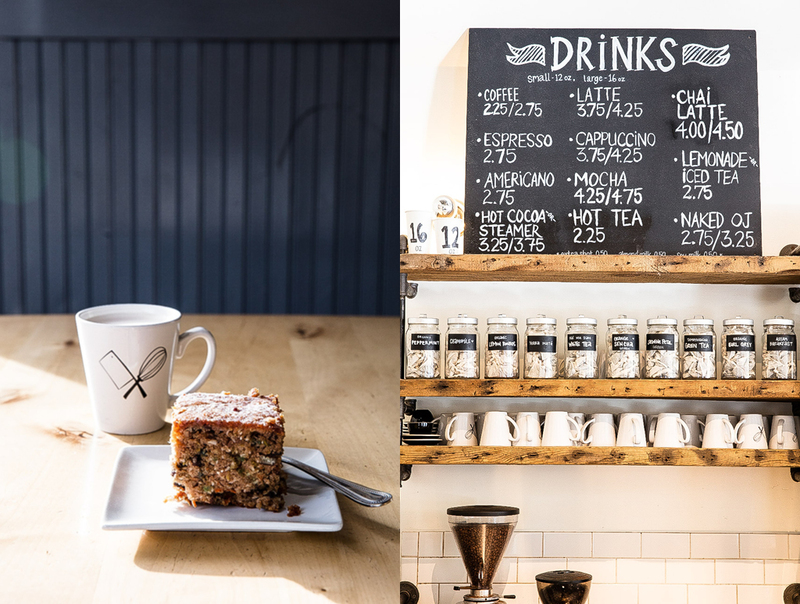 On some days up to $10,000 worth of goods exchanges hands with no currency involved. 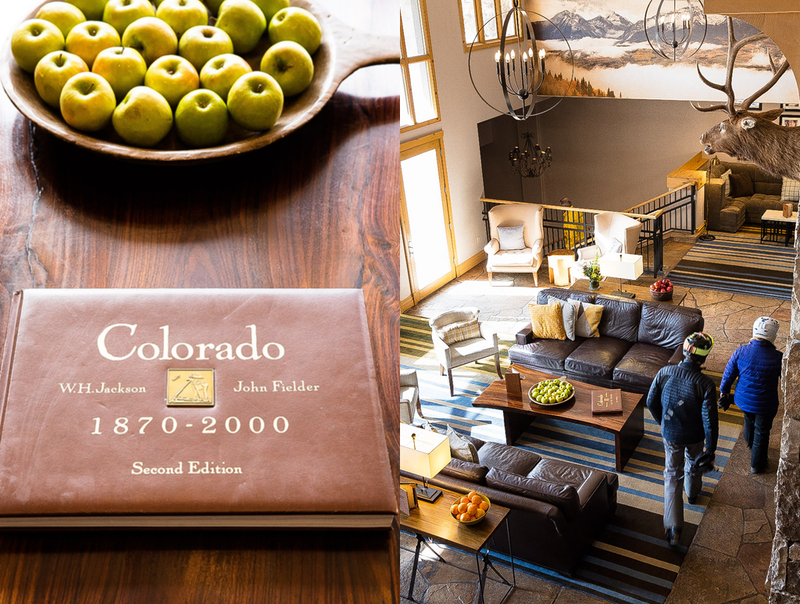 For a deep dive into Telluride’s recent history as seen in consumer culture, it’s a must visit. Arriving in Telluride’s Mountain Village after driving over the Elk Mountain Range through snow, rain, and dust, my truck looked less than presentable. 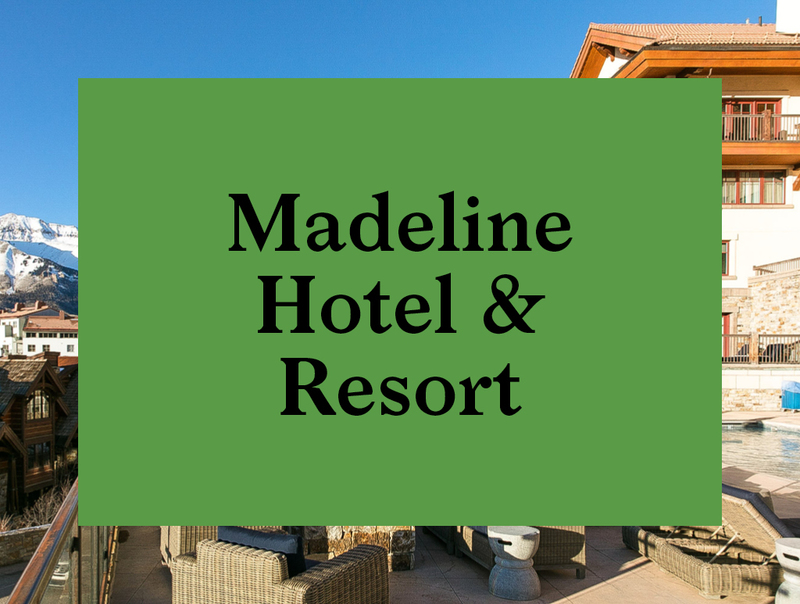 It was with some shame that I handed the keys over to the valet at the bright and shiny Madeline Hotel (the valet was friendly and helpful, and unfazed by the state of my truck). 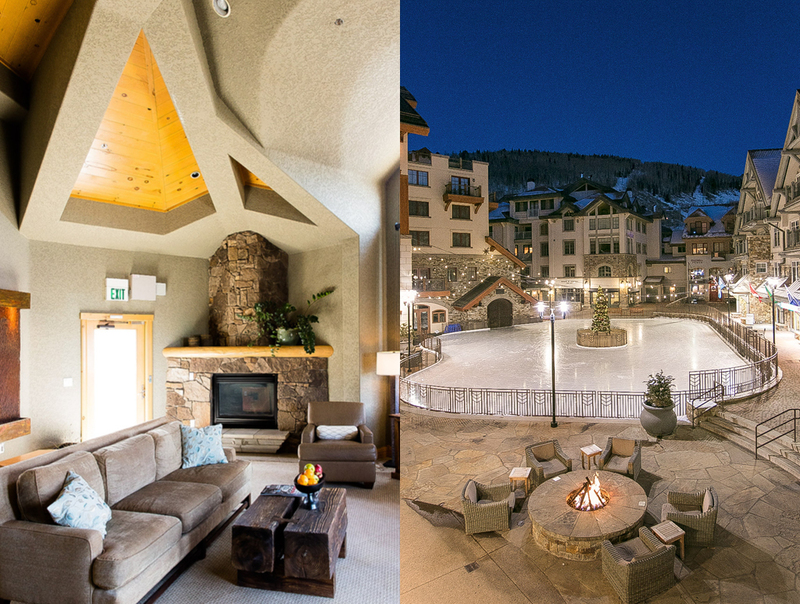 The simple but elegant reception area gives way to comfortable spacious rooms, mine with views over Mountain Village’s ice-skating rink. 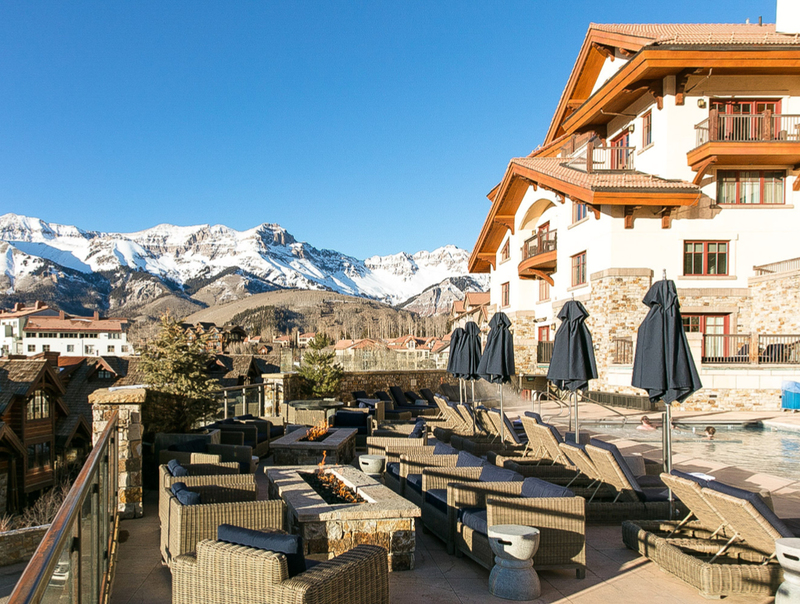 Here the ski valet is located just outside of the hotel. 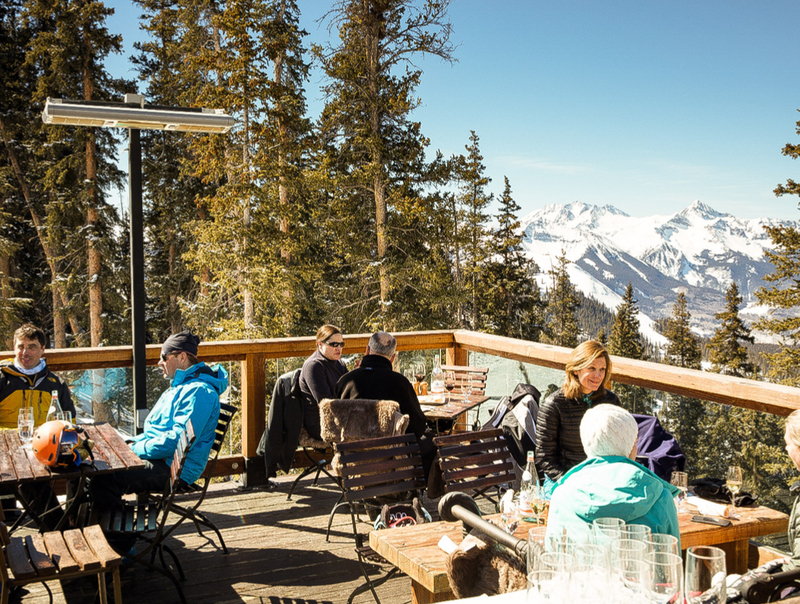 Come morning, you find your skis laid out on the snow, pointing towards the lower mountain from where lifts whisk you up to the gondola and higher mountain ranges. 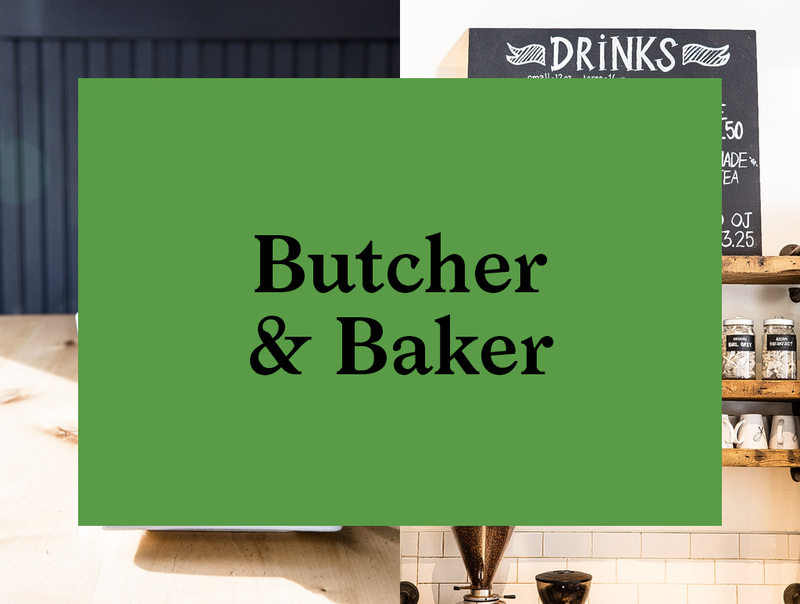 If you find yourself in town for breakfast, don’t miss out on the delicious baked goods at Butcher and Baker. 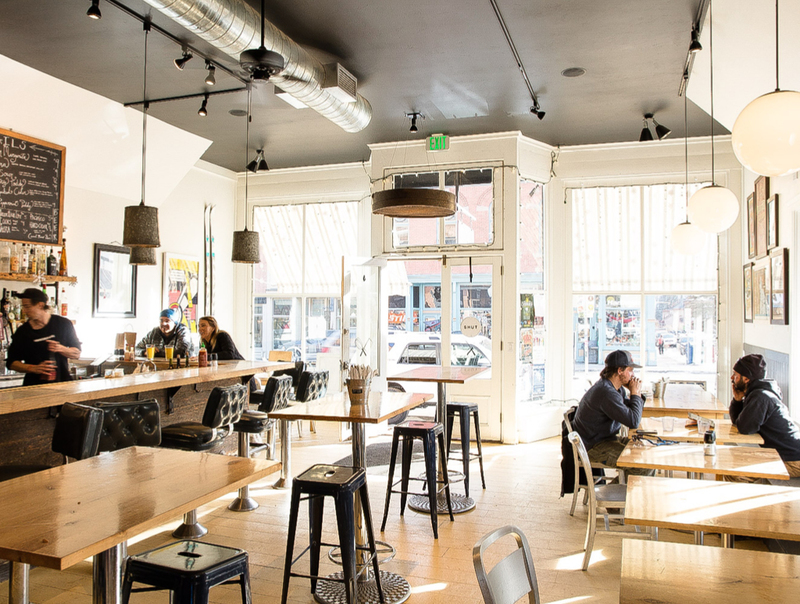 Modern design meets coffee shop and bakery on Telluride’s main thoroughfare, Colorado Avenue. 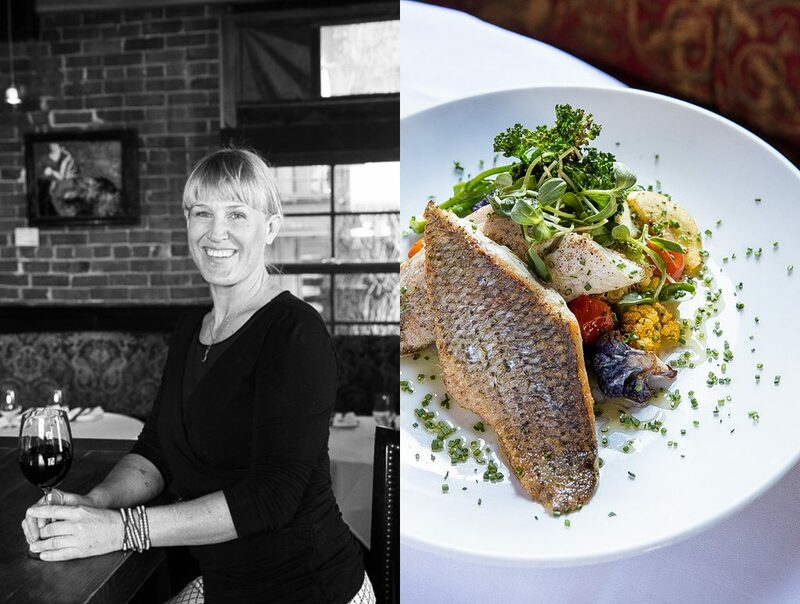 A few steps from the gondola building in Telluride you’ll find a cozy restaurant owned by Mairen Reagan. 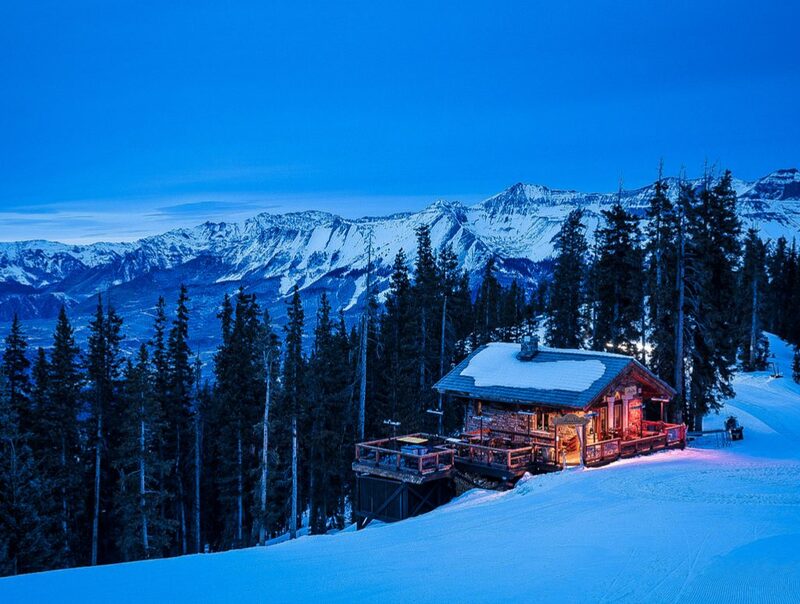 The exterior brings to mind little chalets in the French Alps. 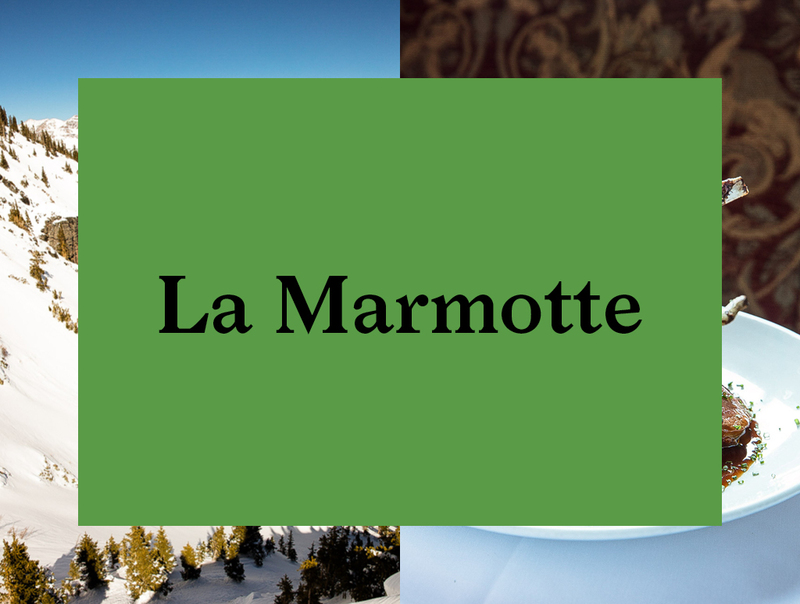 Once inside, you’ll feel right at home with La Marmotte’s ample bar to fill your glass, and their comforting menu that looks and tastes delicious. 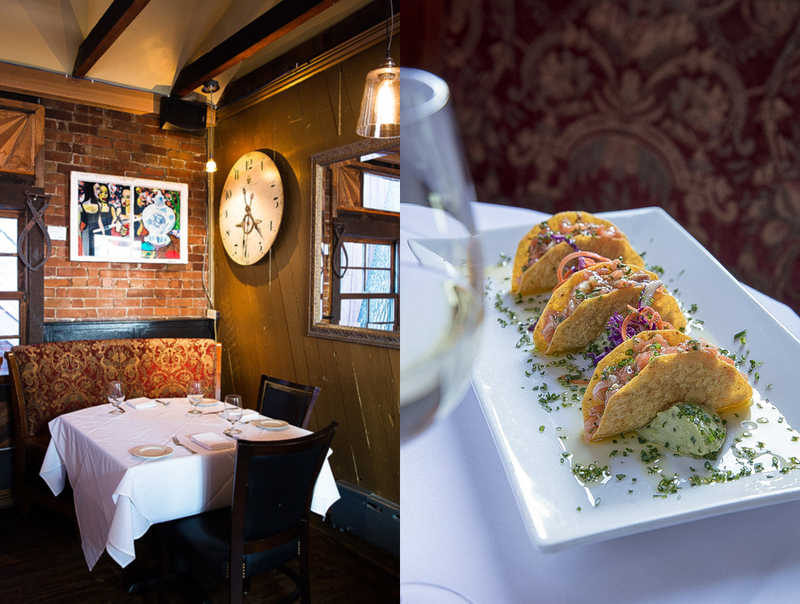 From the many great choices, it was the tacos that stole my heart: I heartily recommend them. 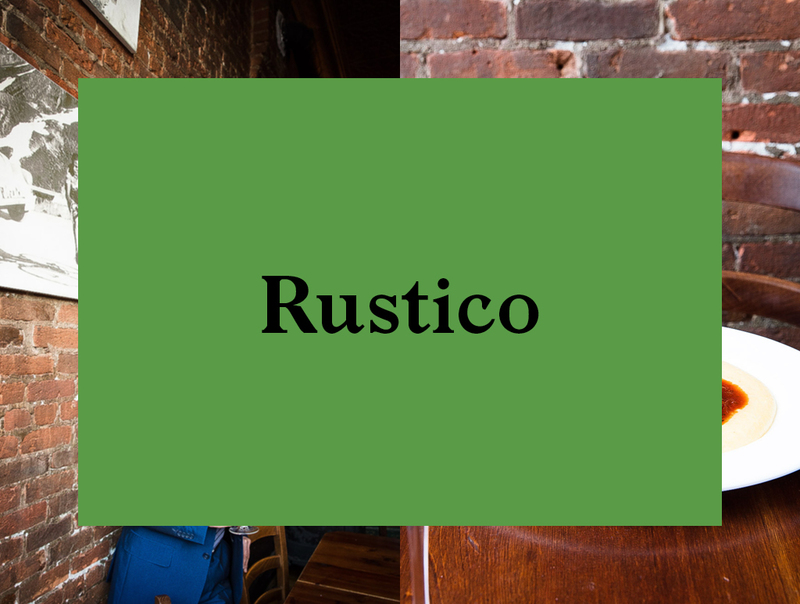 At Rustico, I met owner Stefano Canclini. 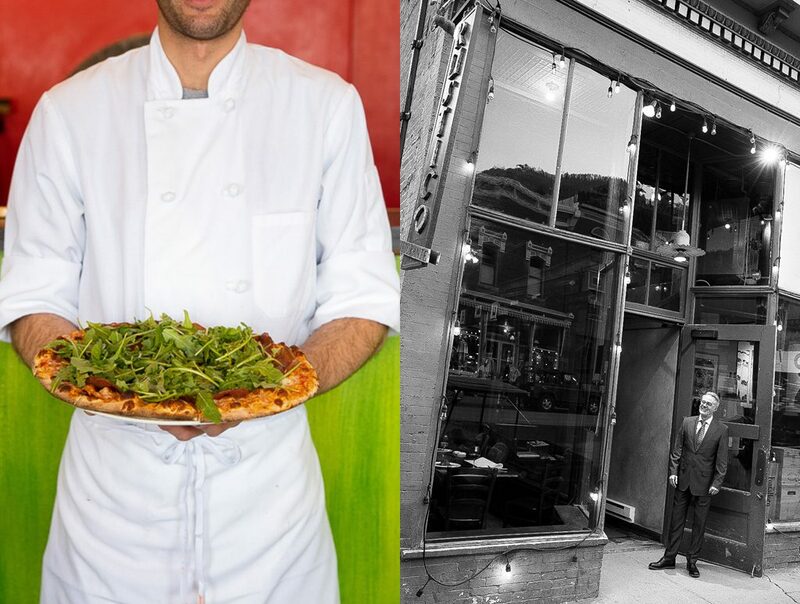 Stefano runs Rustico with his family, and has even helped expand Telluride’s culinary scene by encouraging his Italian cousin to move to town. 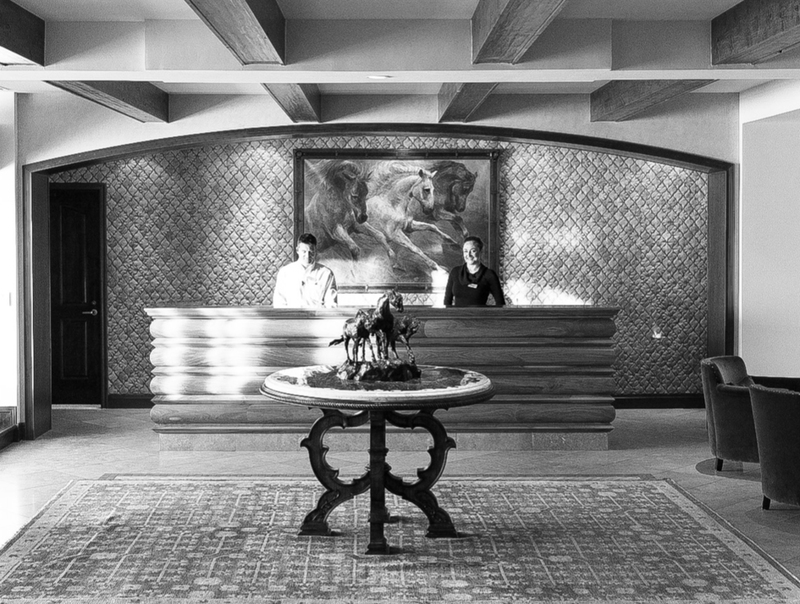 Chef Peccidi of Alpino Vino fame came for a visit on Stefano’s invitation and grew so fond of the place he ended up staying. 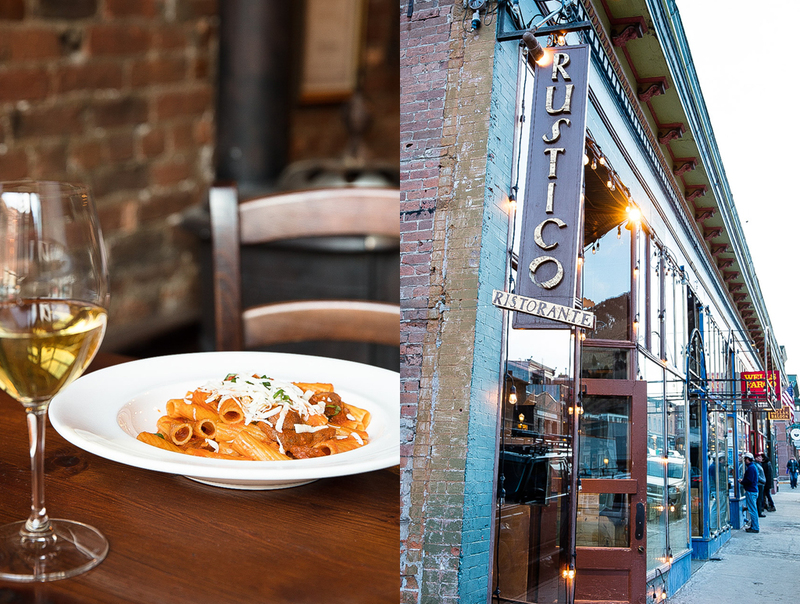 Rustico is so good it has become one of Telluride’s main eateries. And I can see why. 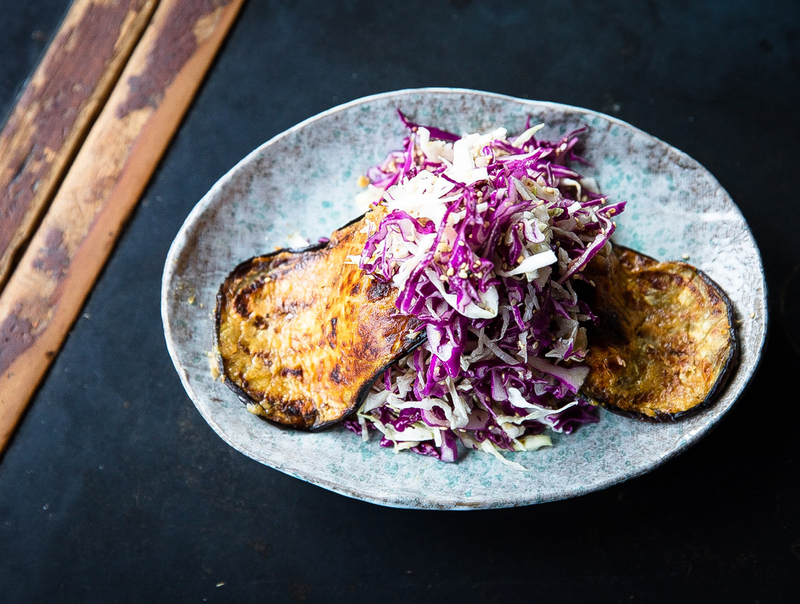 Given the chance, I would eat there every day. 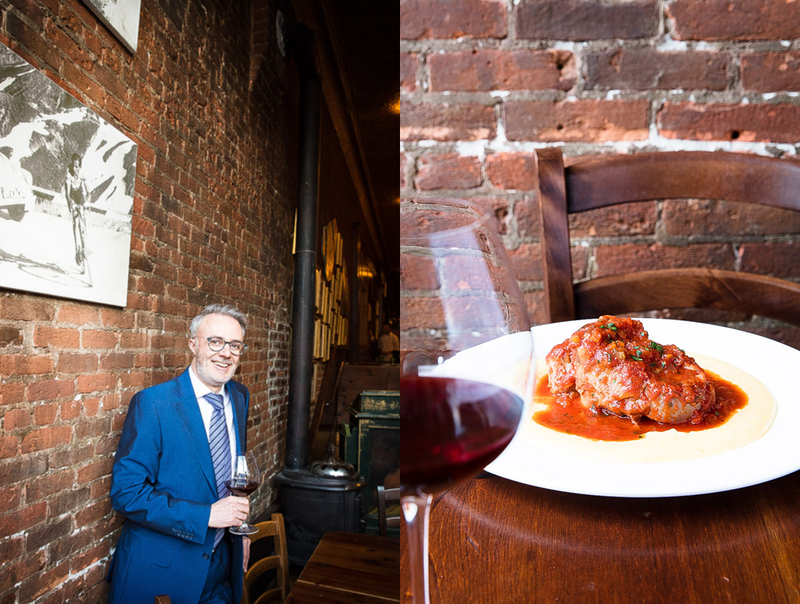 My idea of great Italian food is fresh and simple. 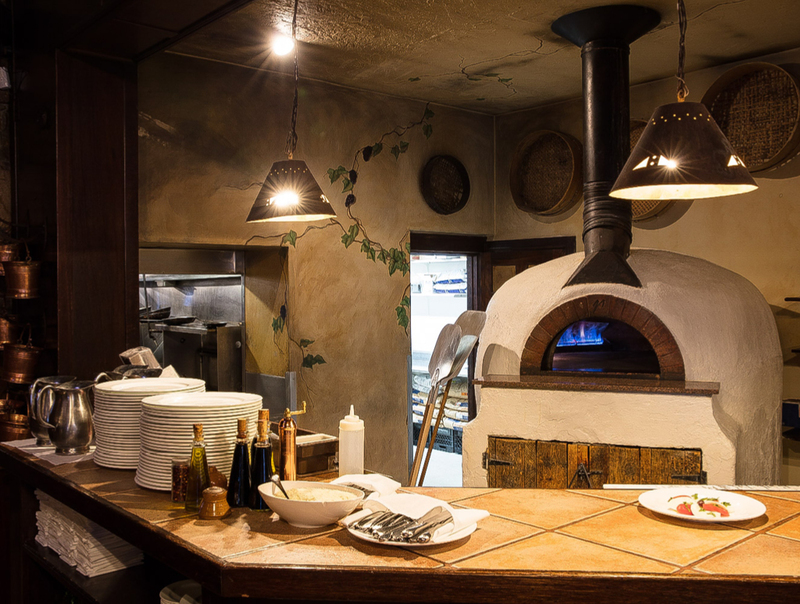 And that’s exactly what you’ll find at Rustico with their freshly made pasta and traditional pizza oven. 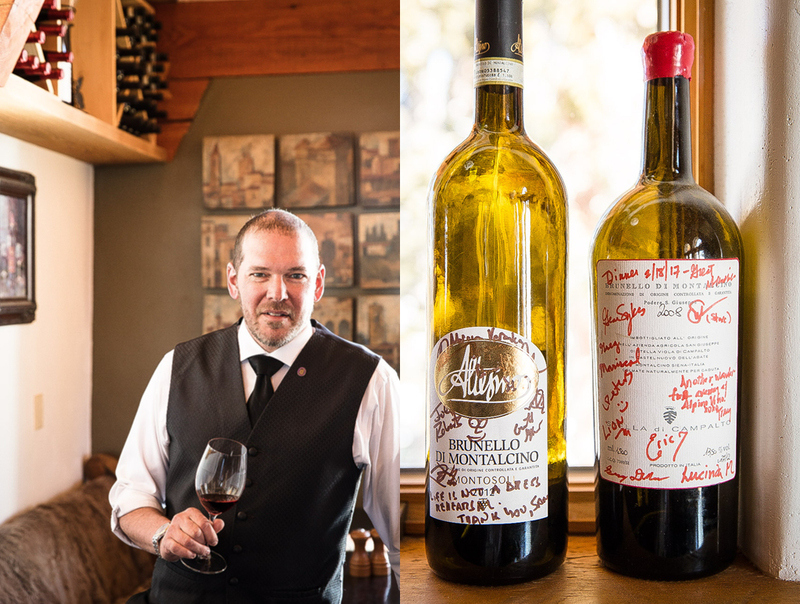 Of course, the great Italian wine list Stefano imports from his motherland rounds out the experience. 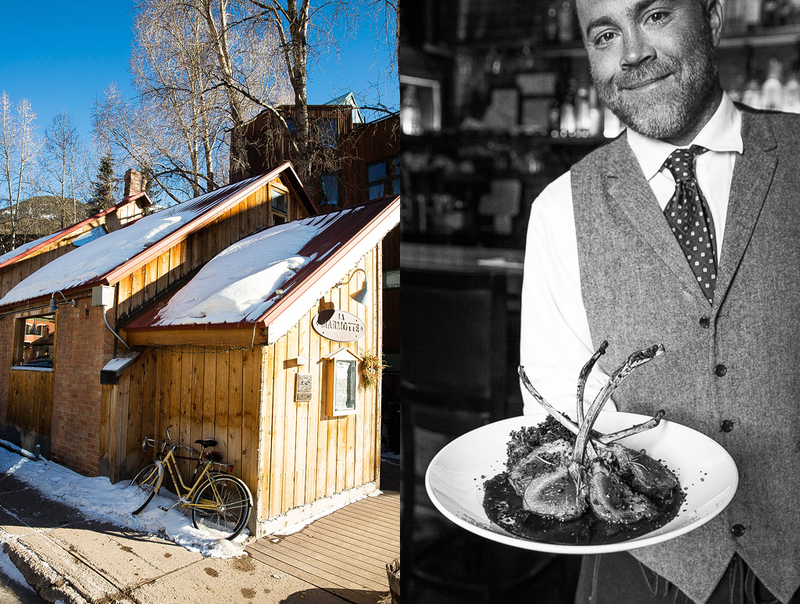 I guess with his deeply ingrained family heritage in one of the world’s great alpine regions, Stefano is the perfect person to anchor the food scene in the American alpine town of Telluride. 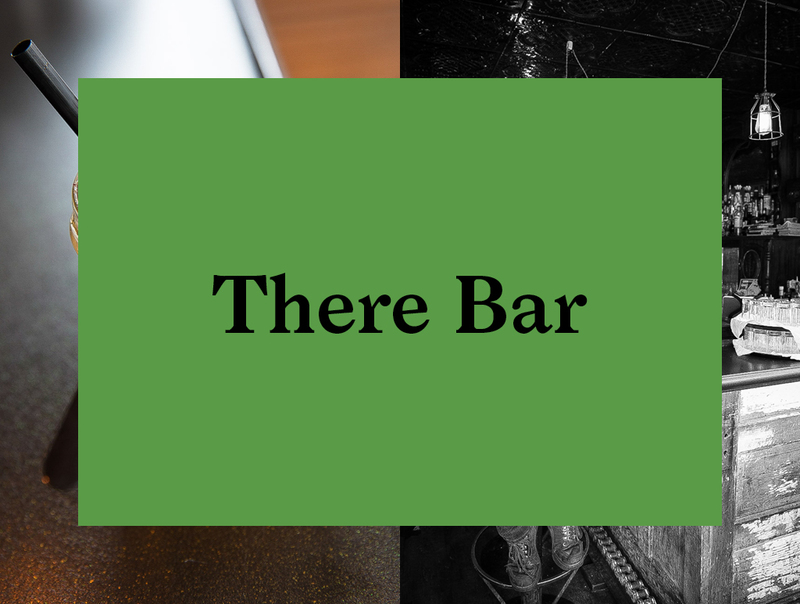 There Bar serves up inventive cocktails and delicious Asian inspired Tapas. 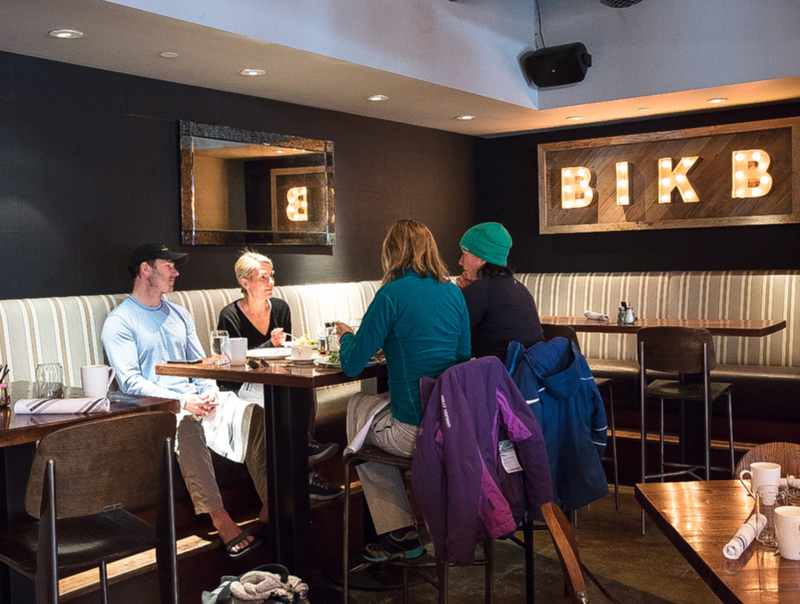 Perfect for your apres ski gathering with friends after a full day on the Telluride slopes. 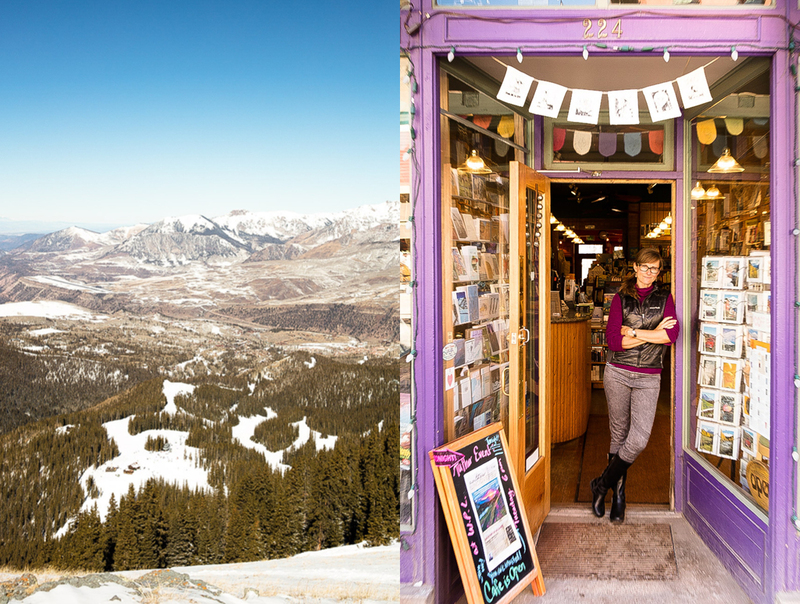 Planning a visit to Telluride? Here is the current weather and what to expect for the next few days.